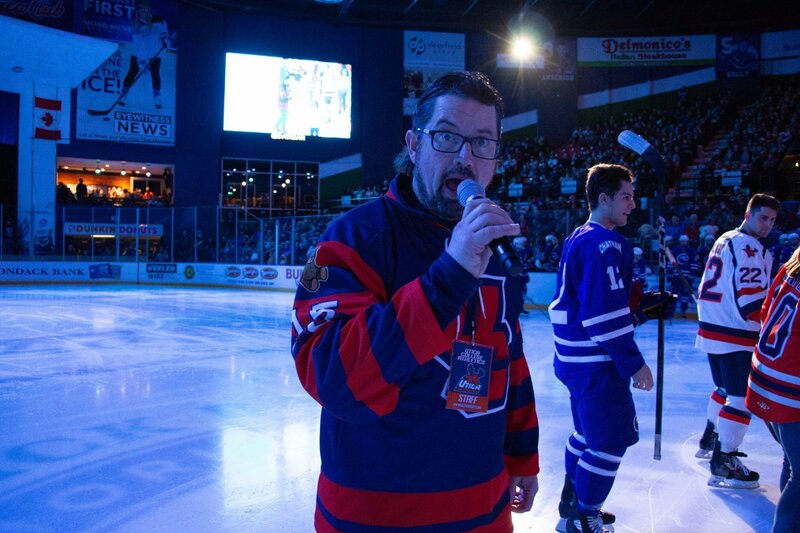 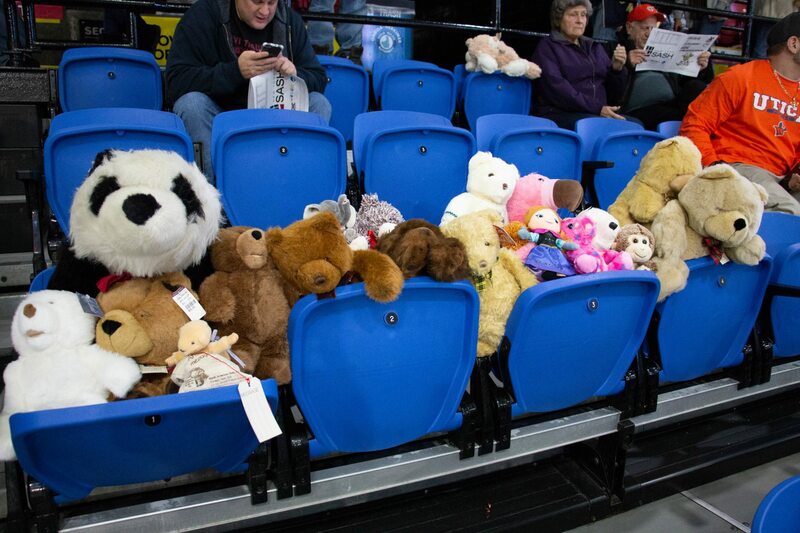 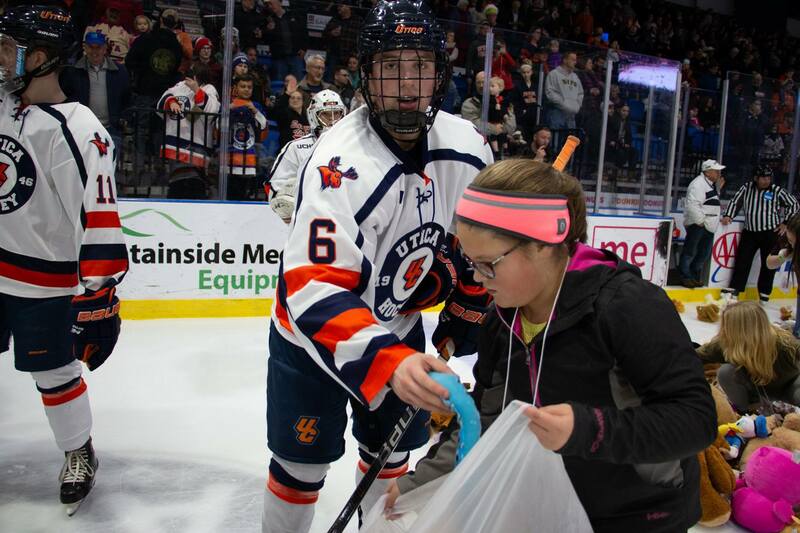 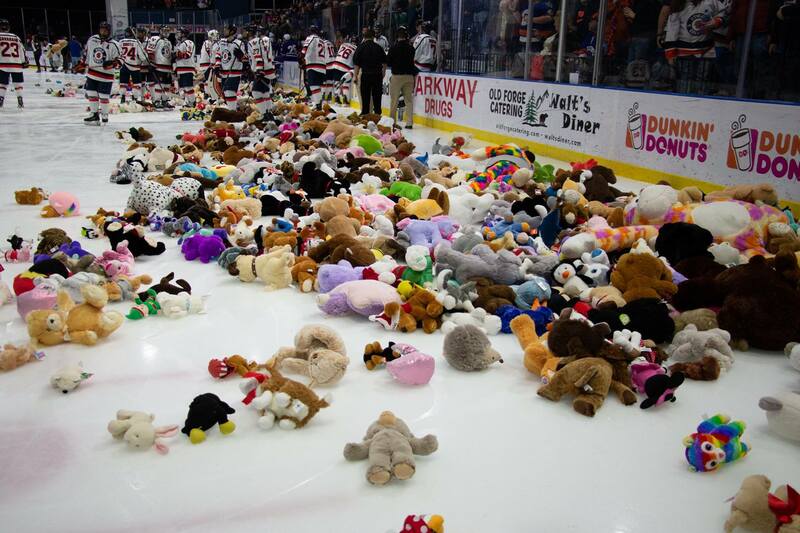 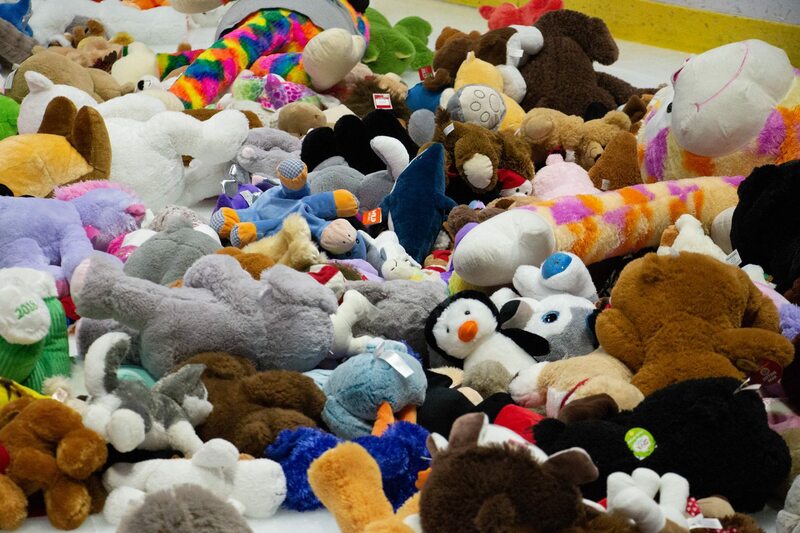 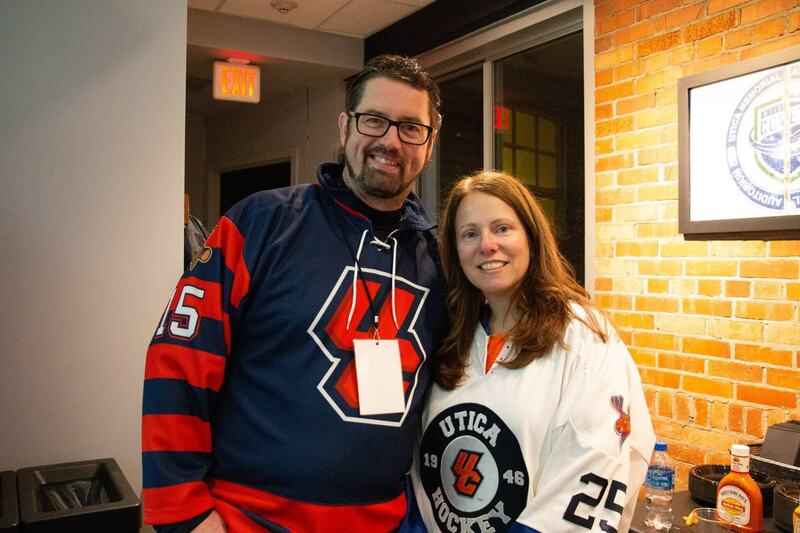 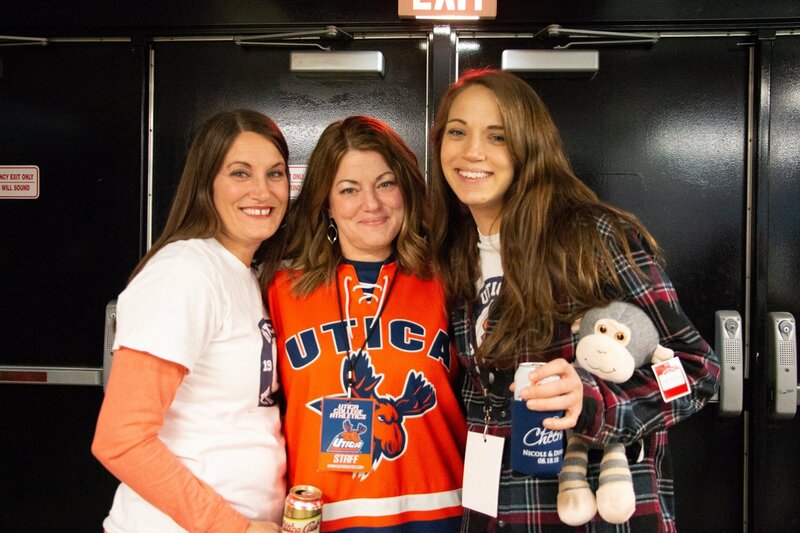 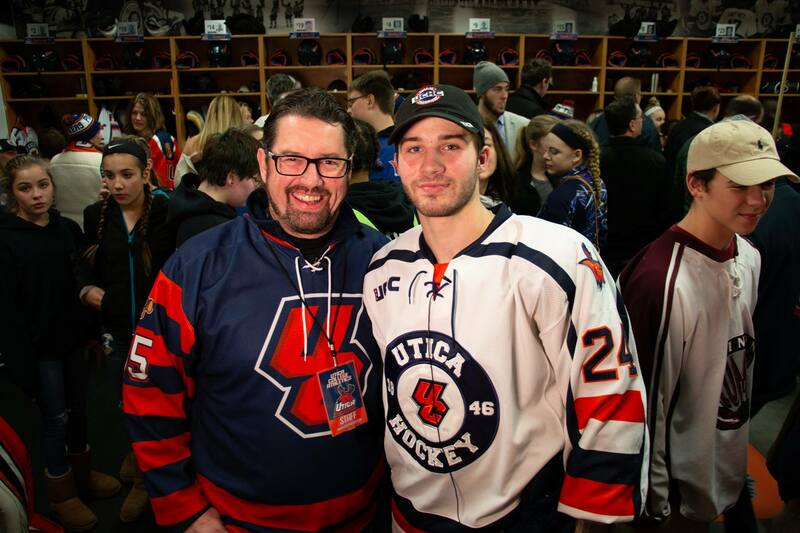 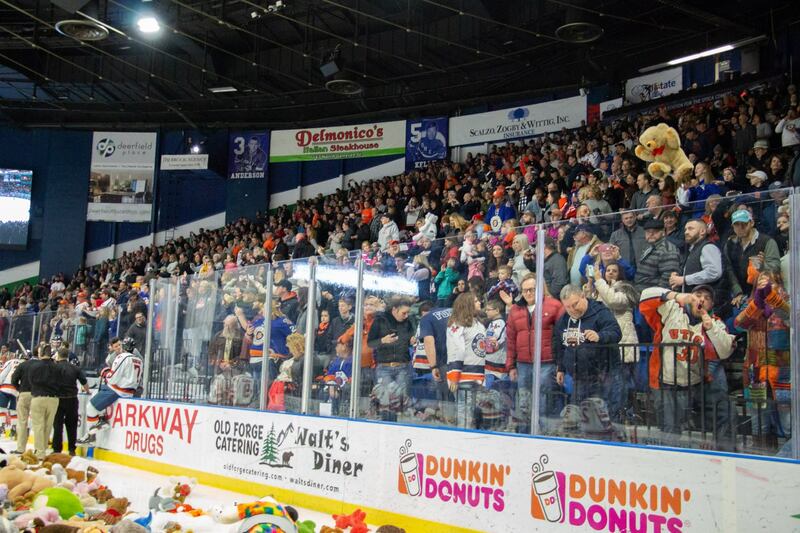 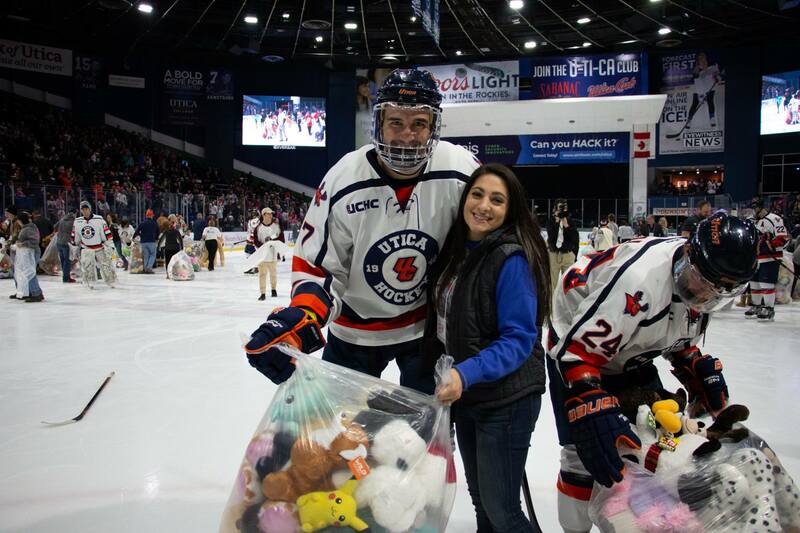 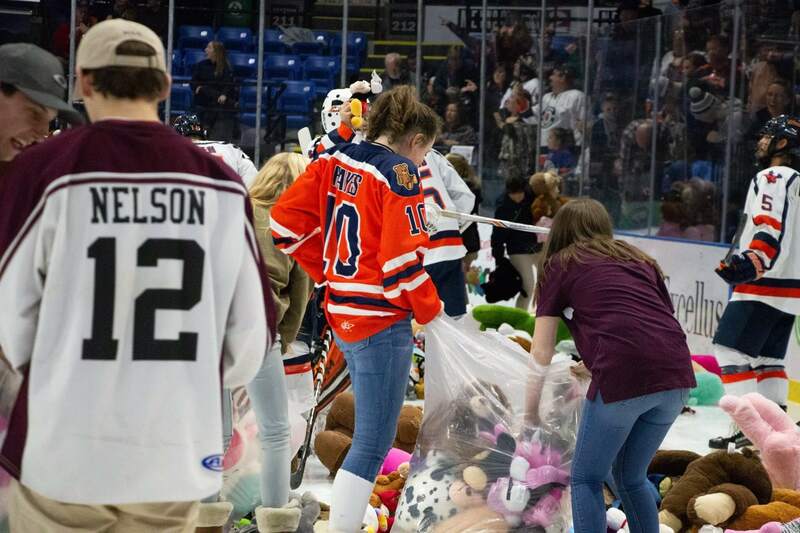 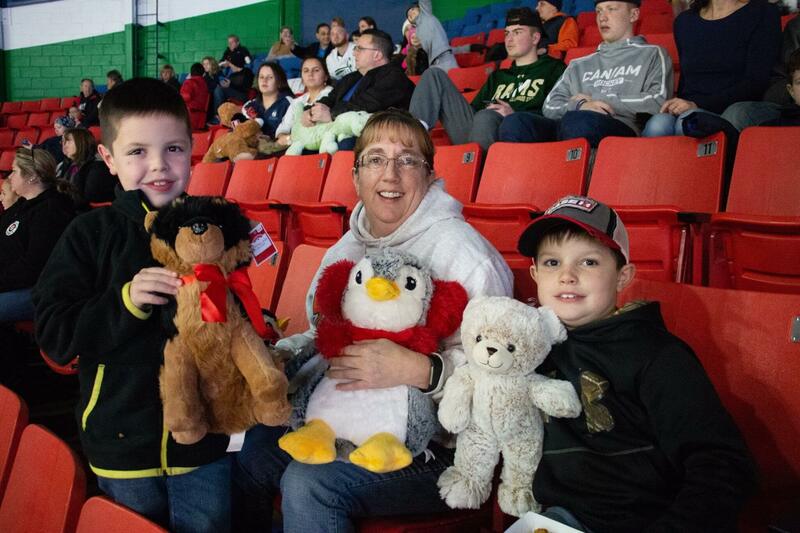 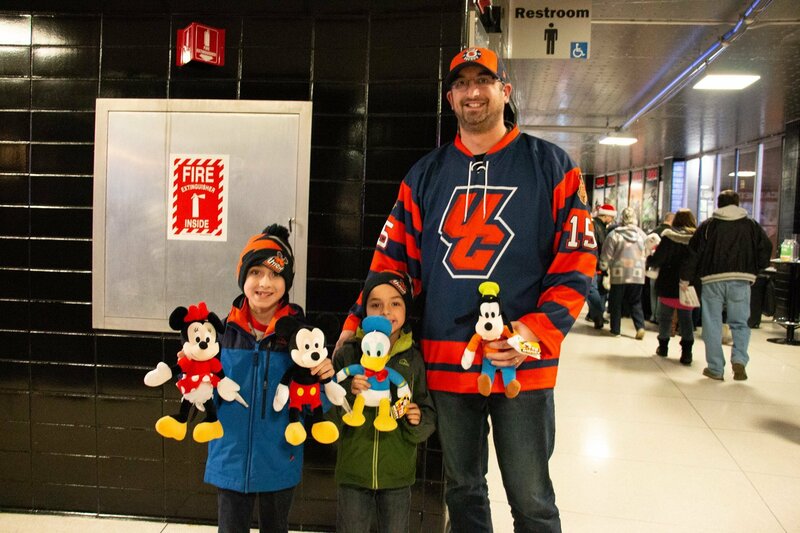 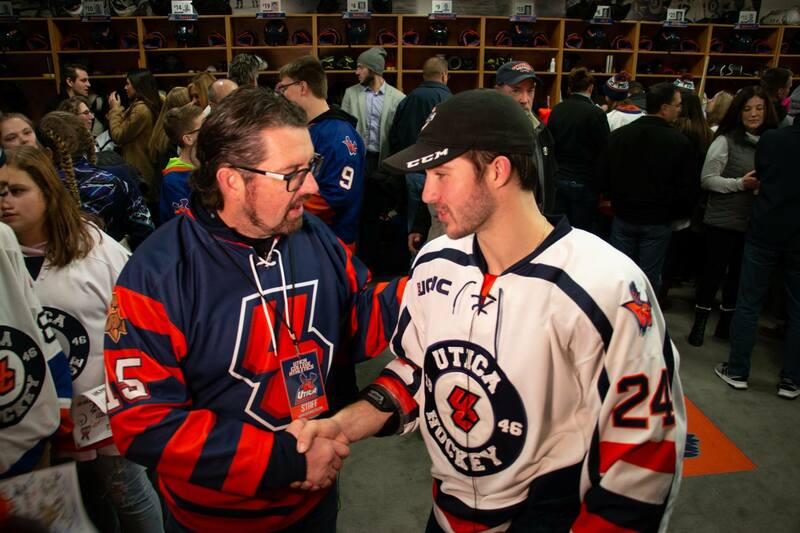 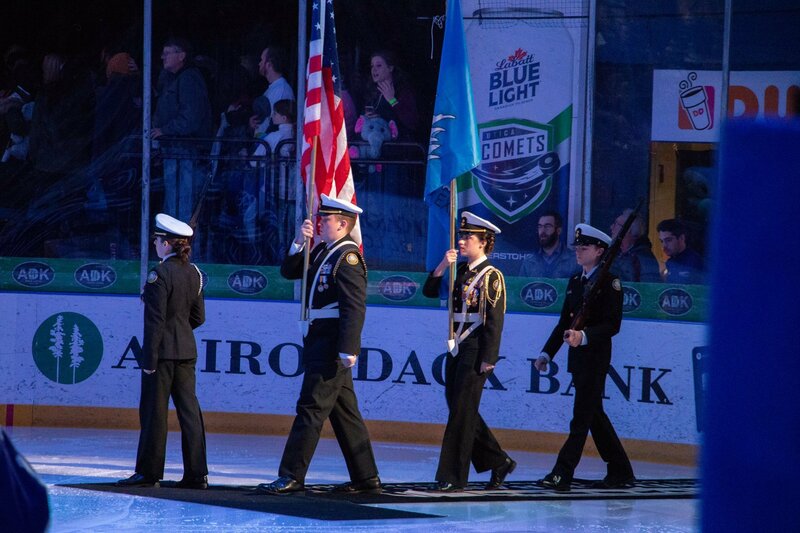 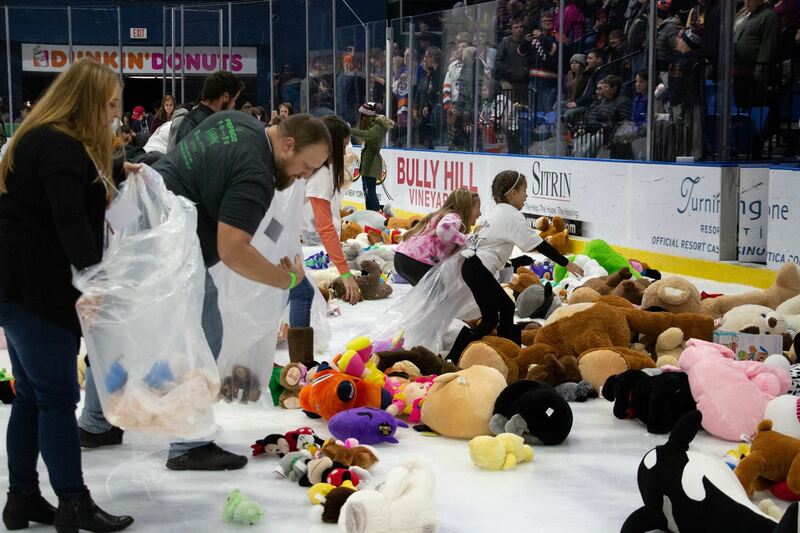 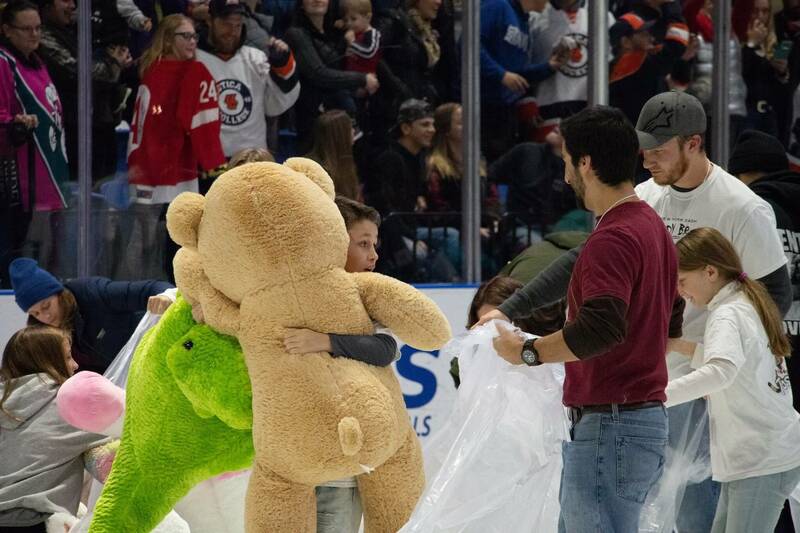 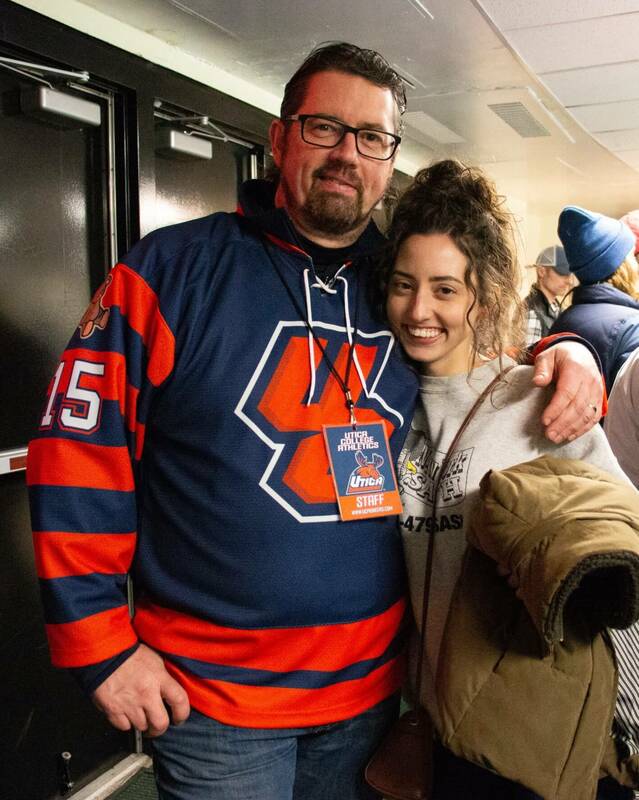 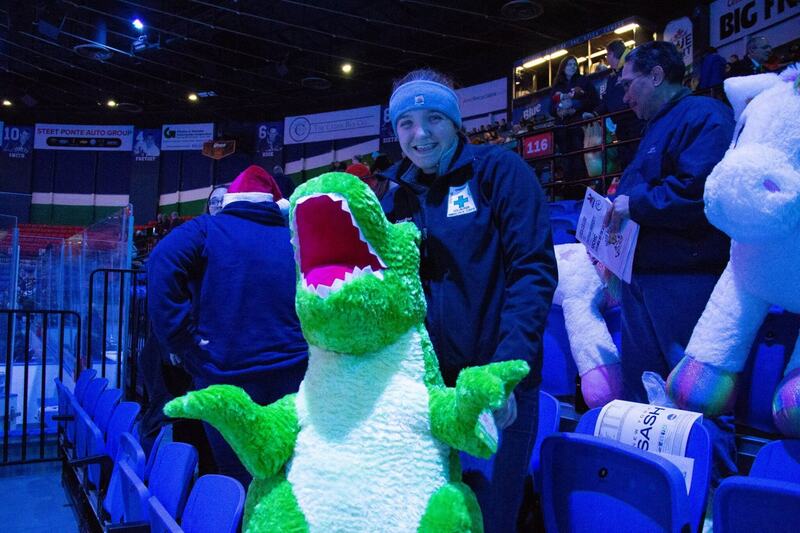 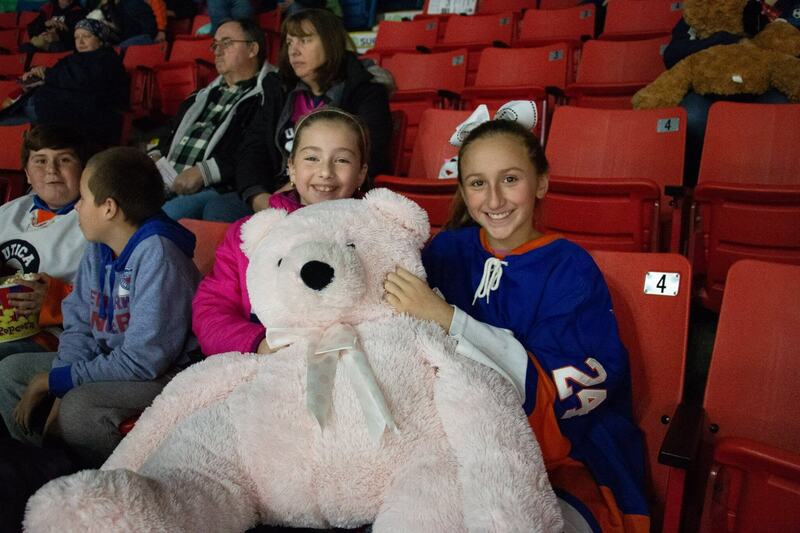 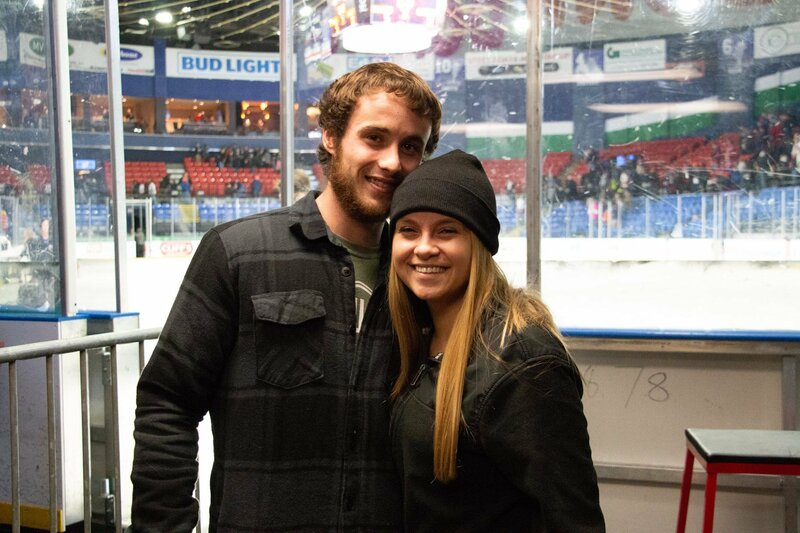 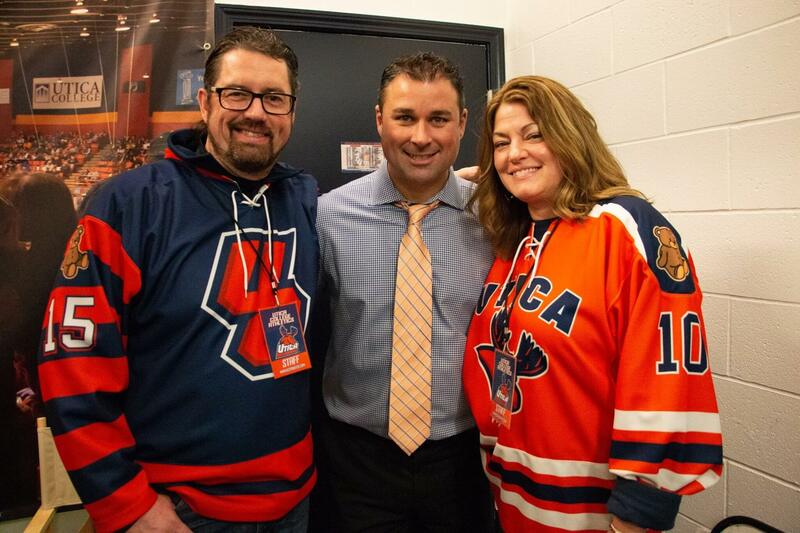 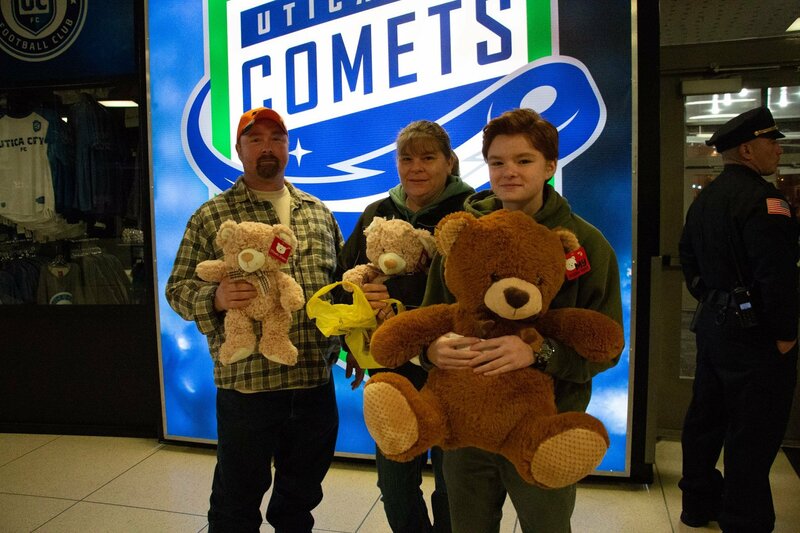 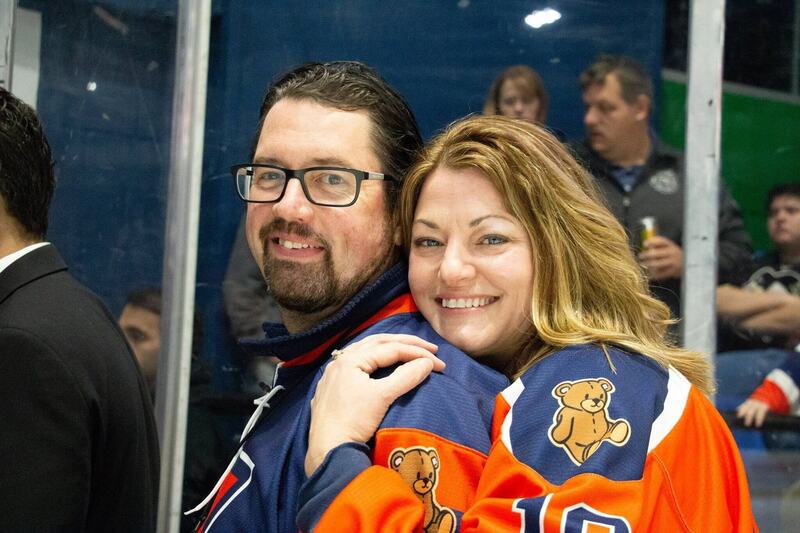 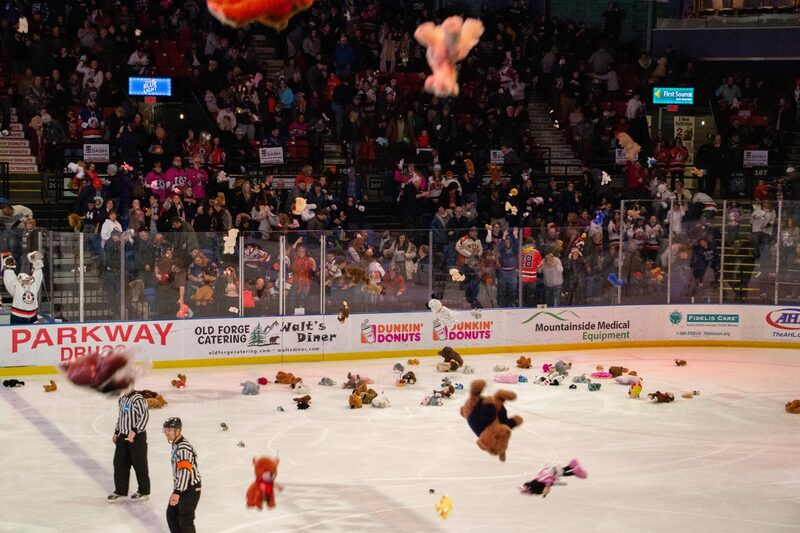 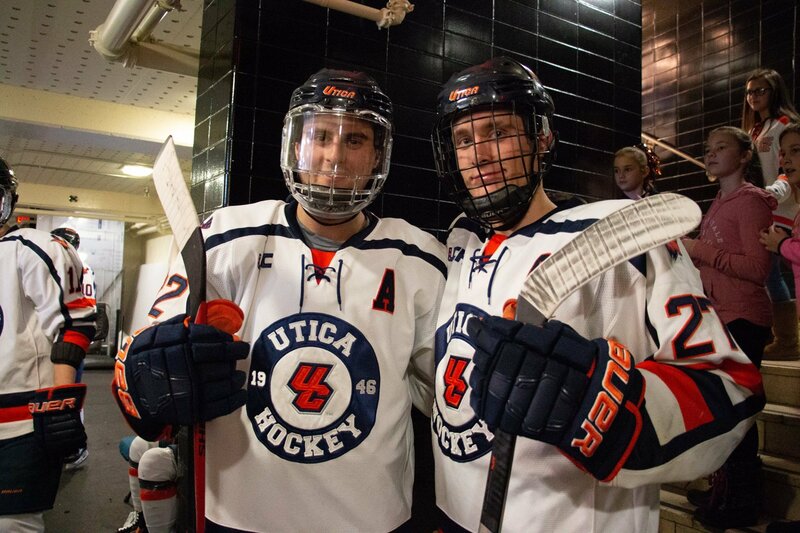 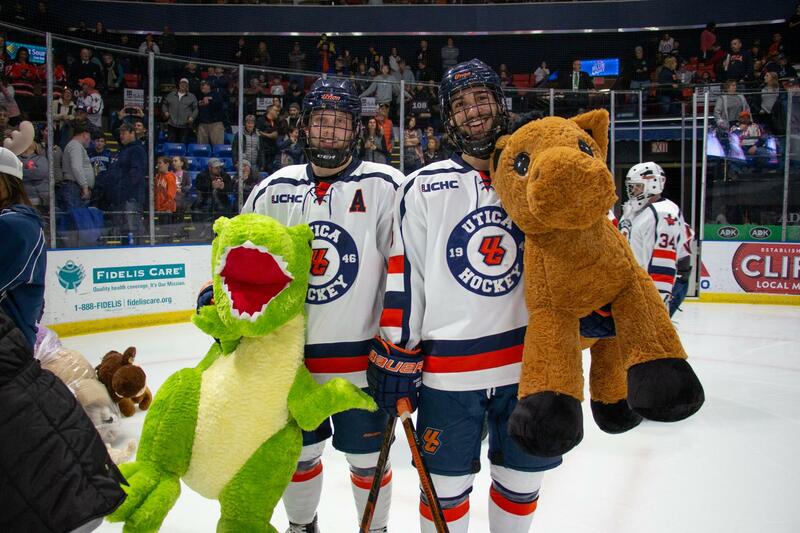 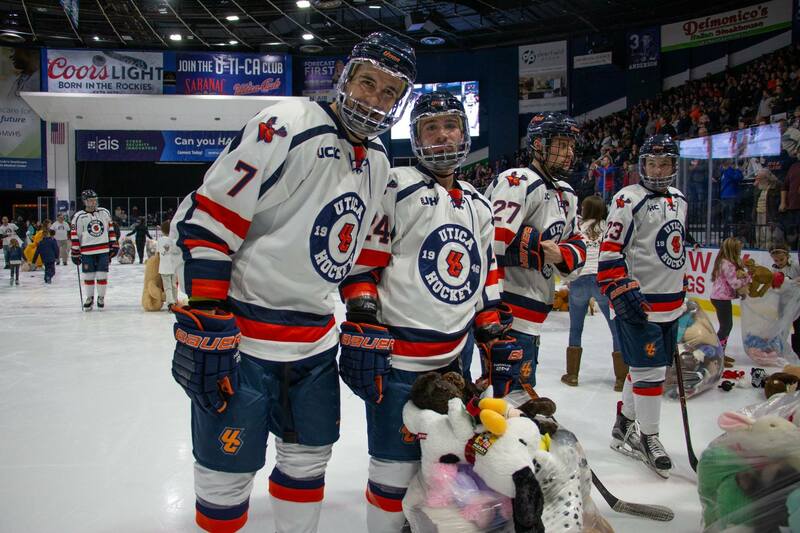 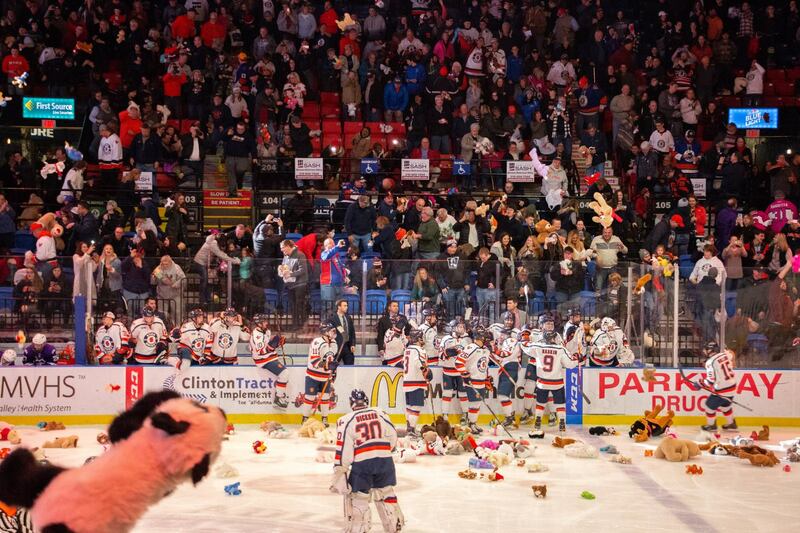 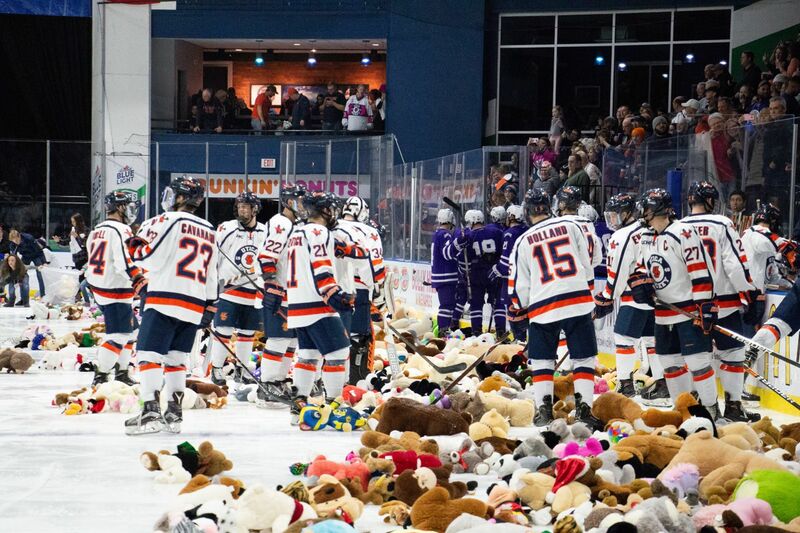 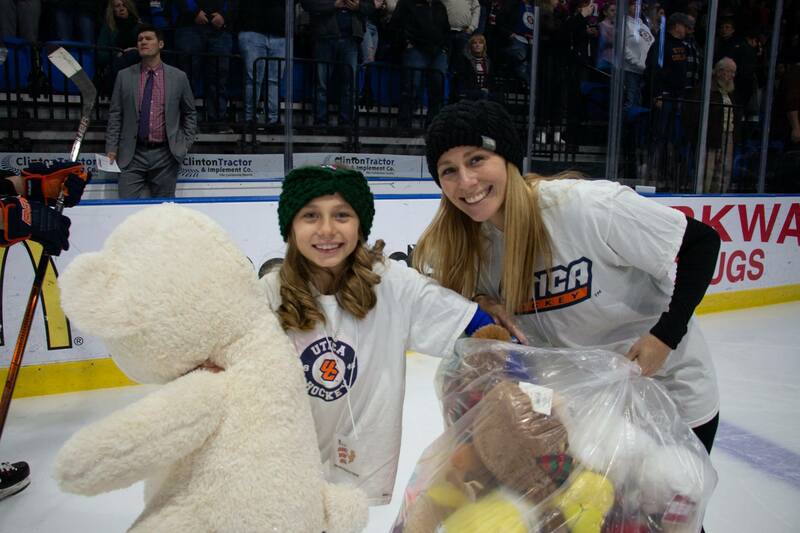 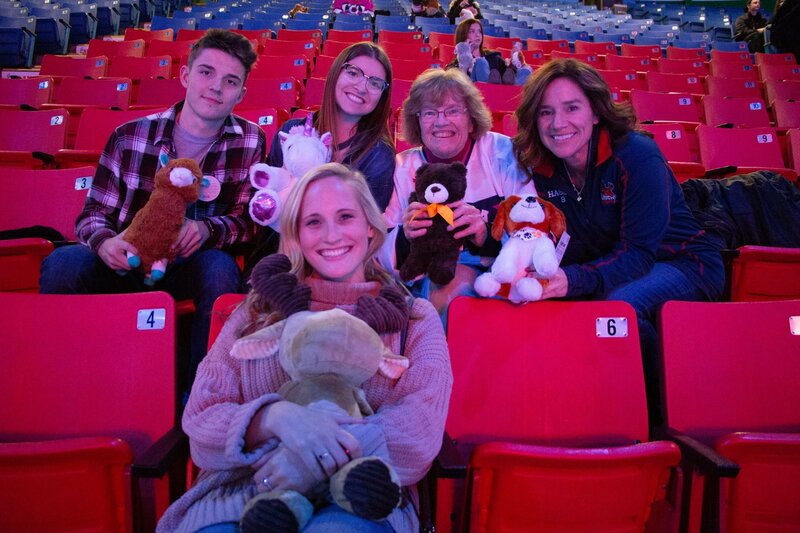 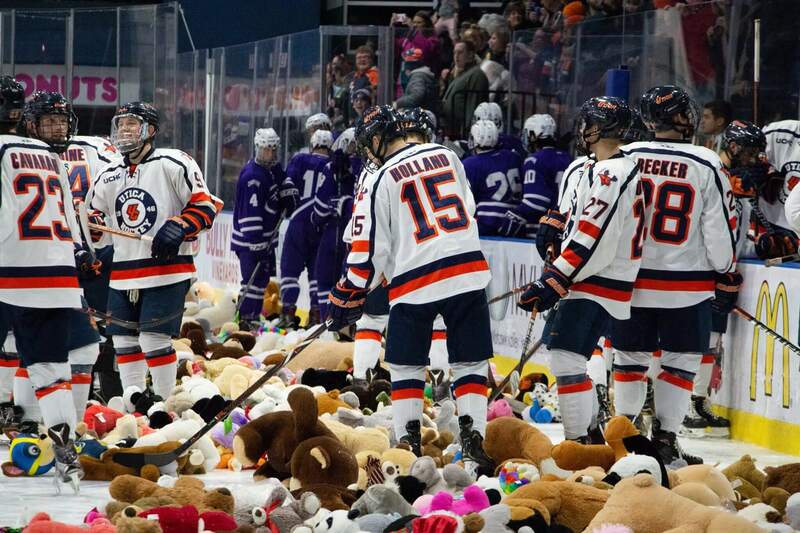 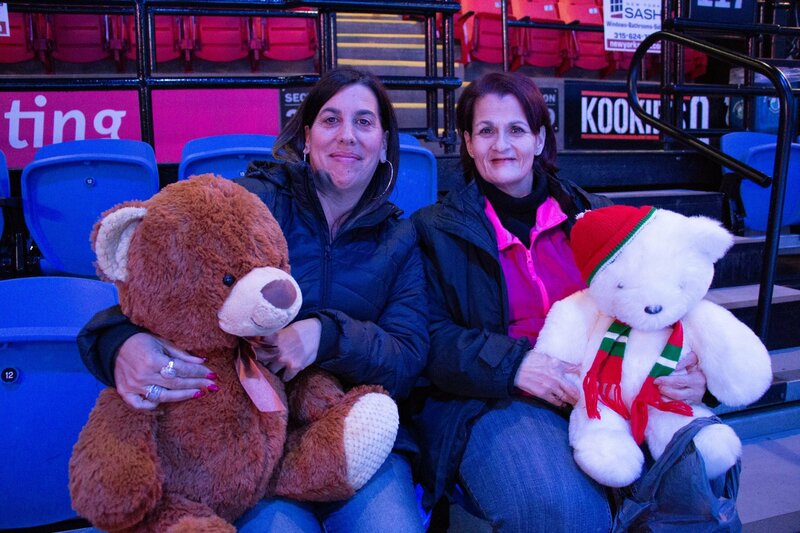 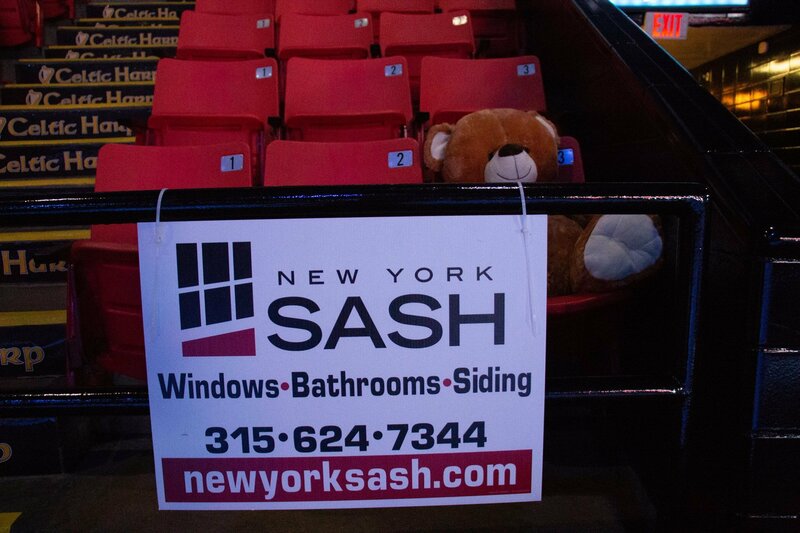 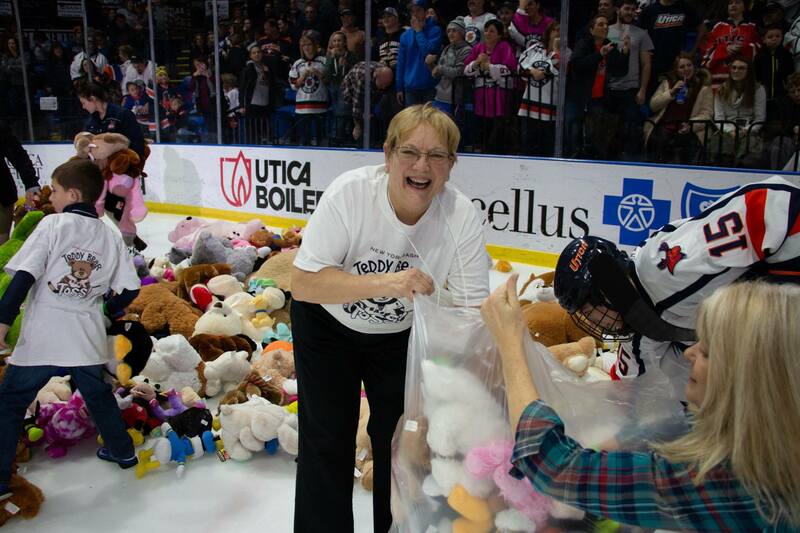 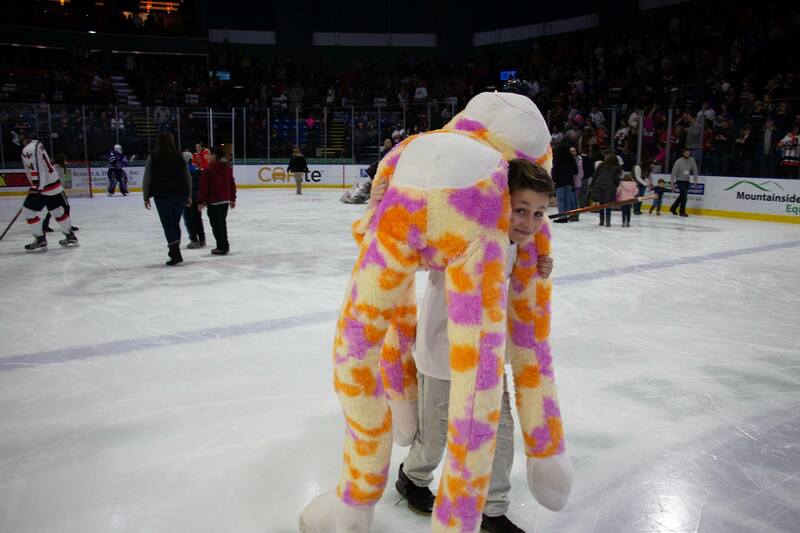 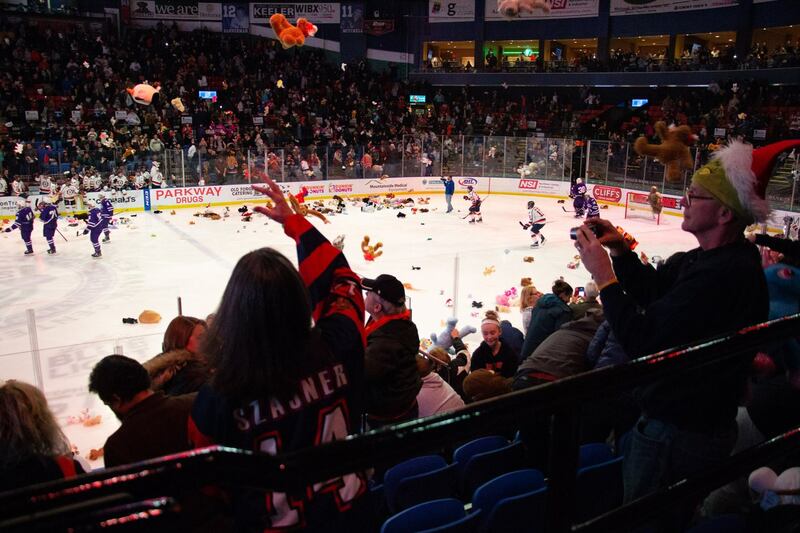 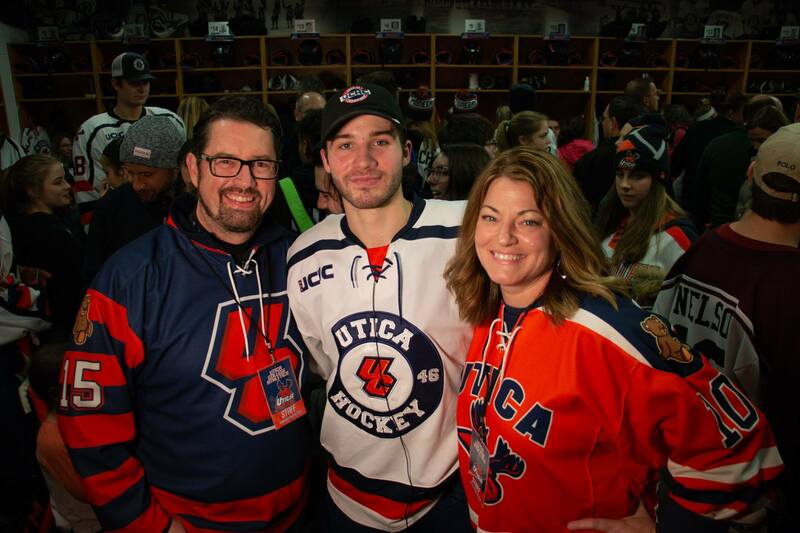 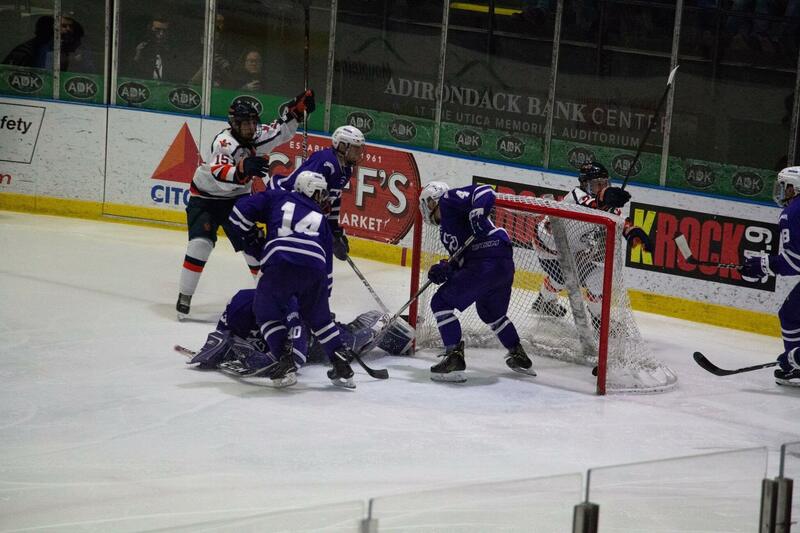 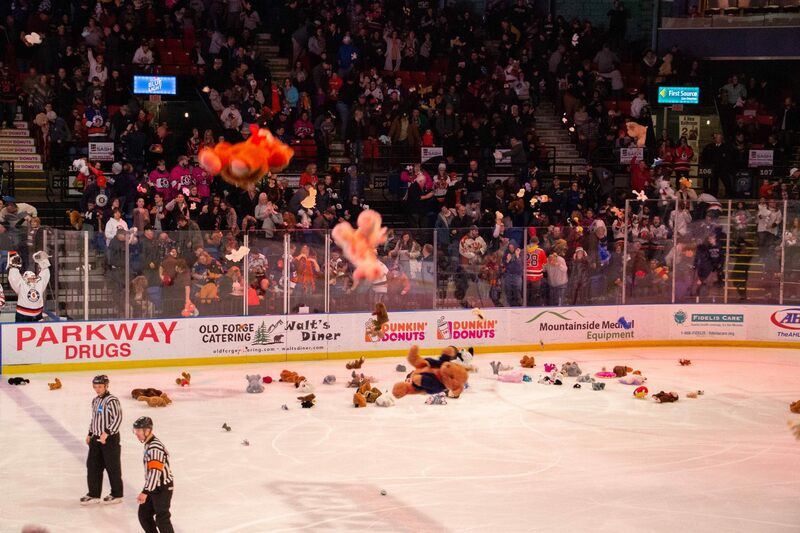 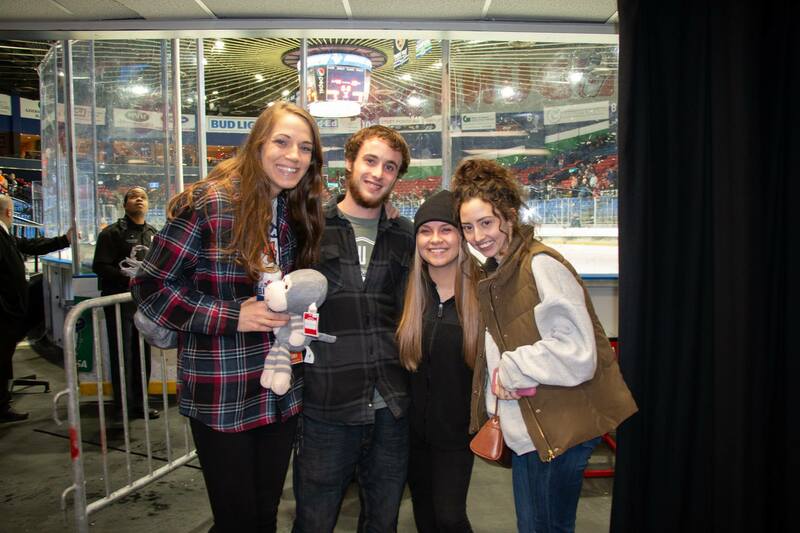 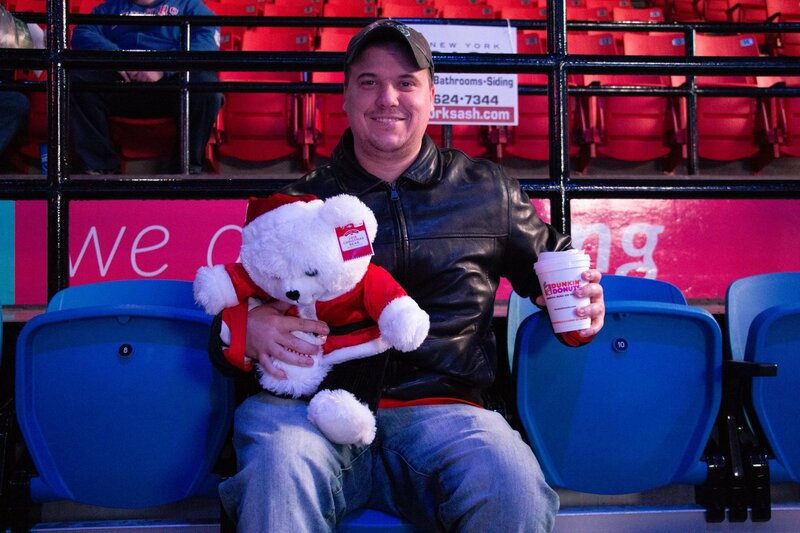 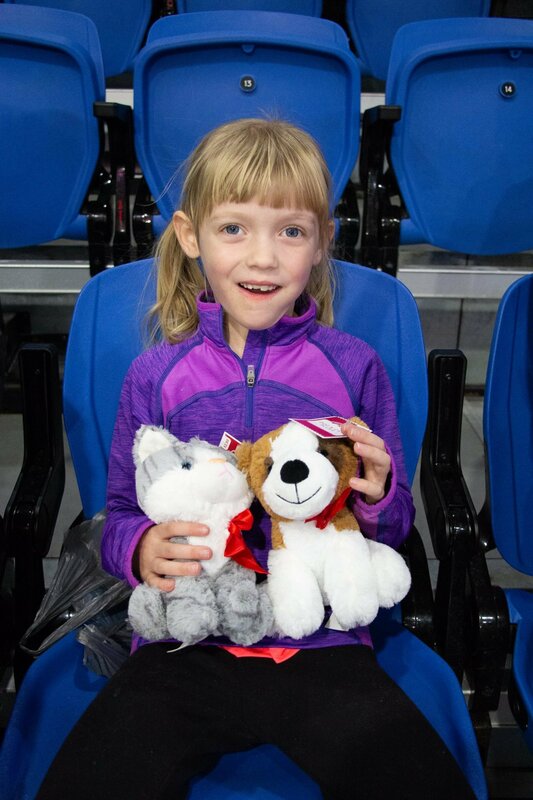 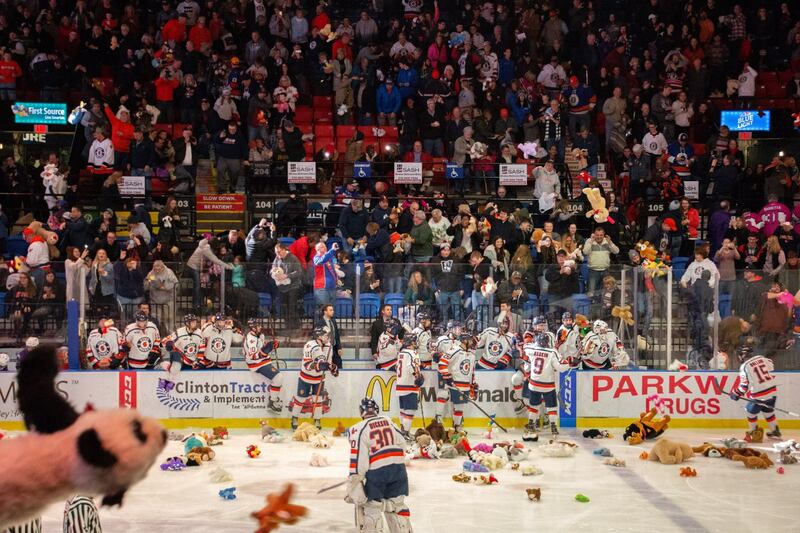 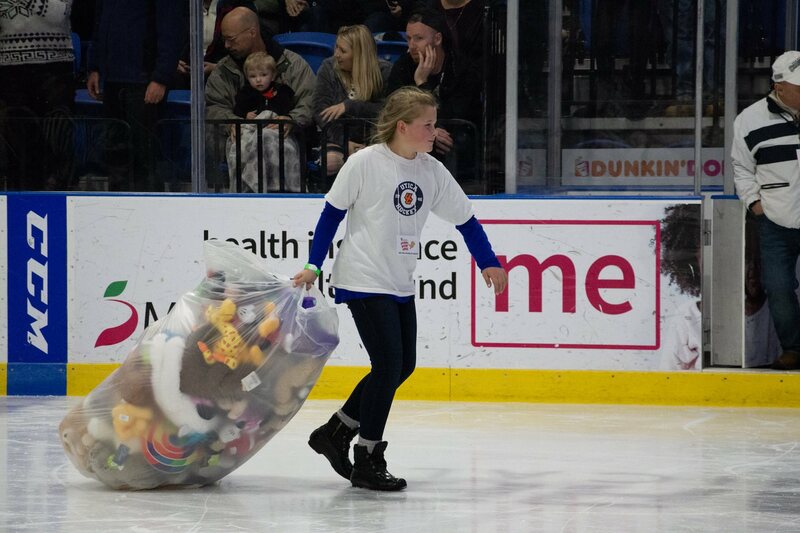 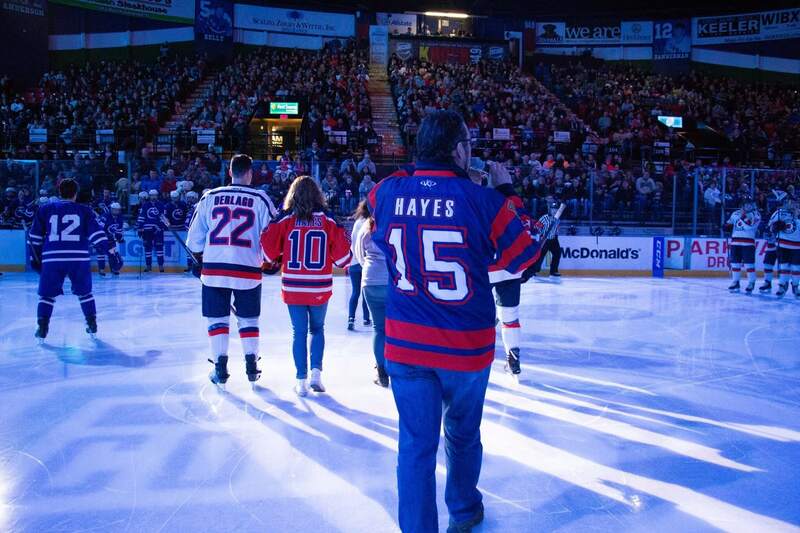 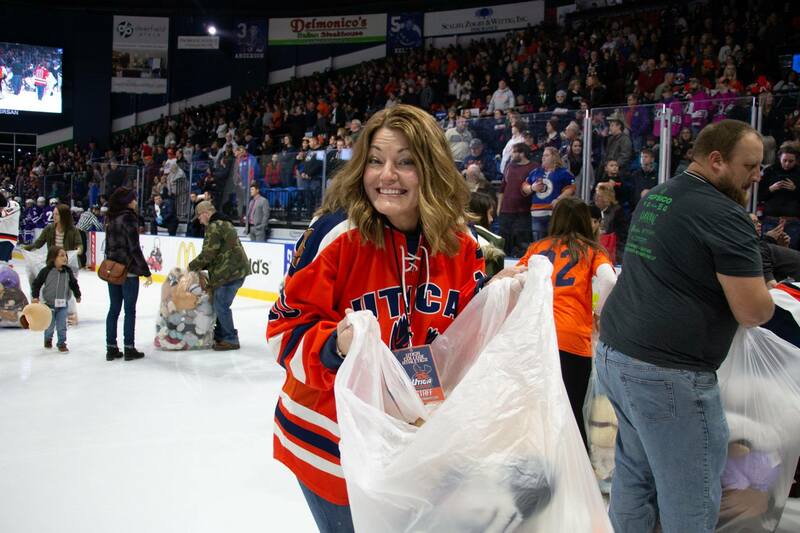 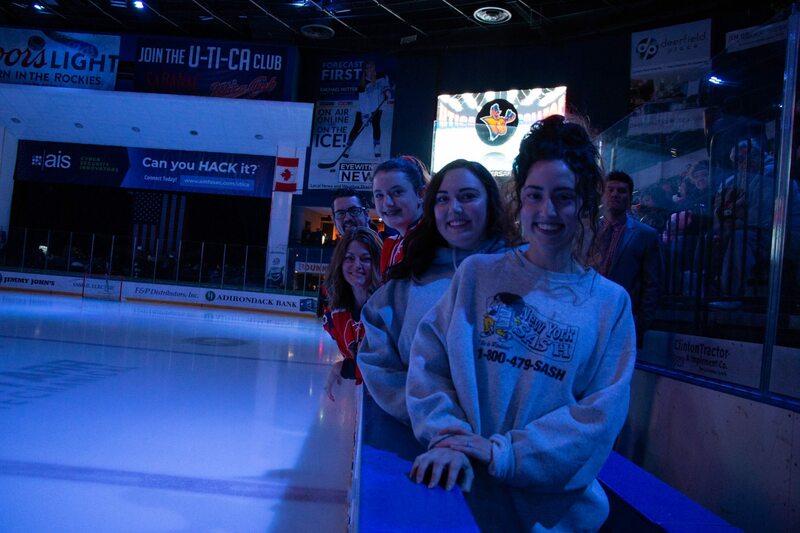 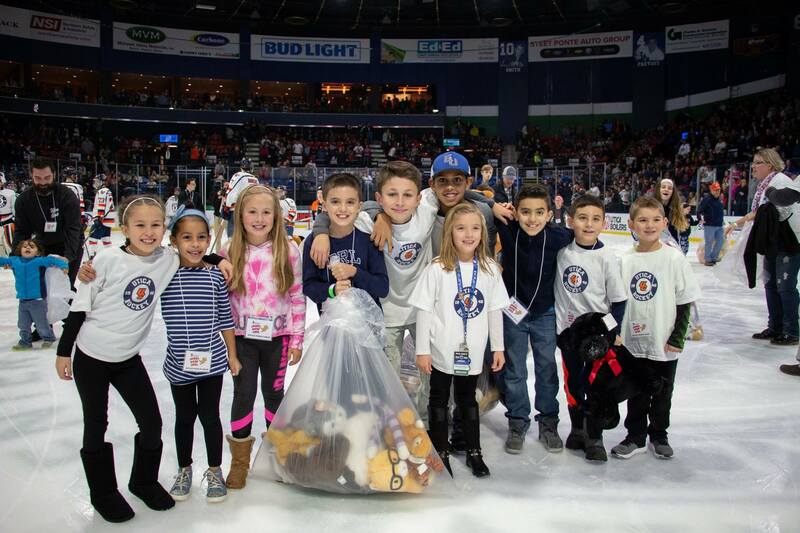 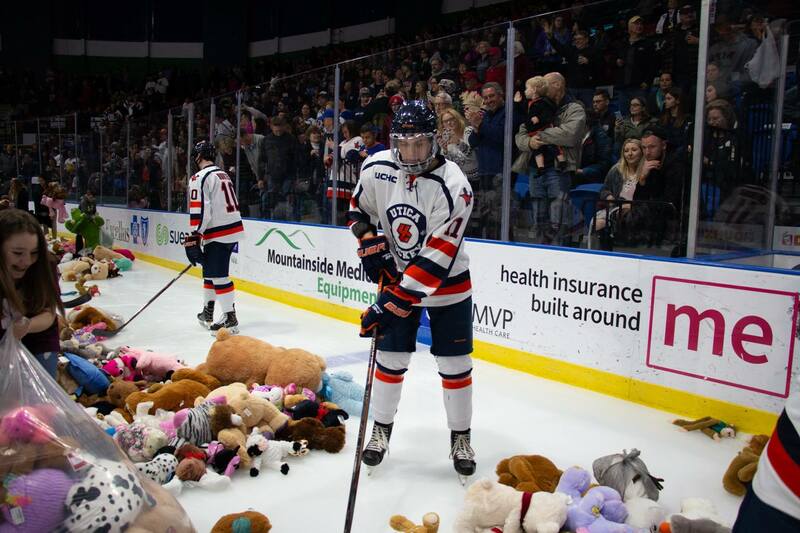 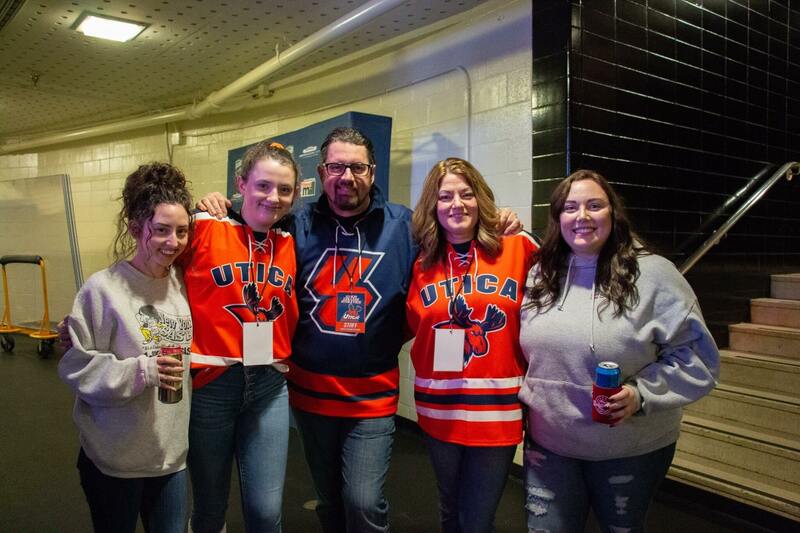 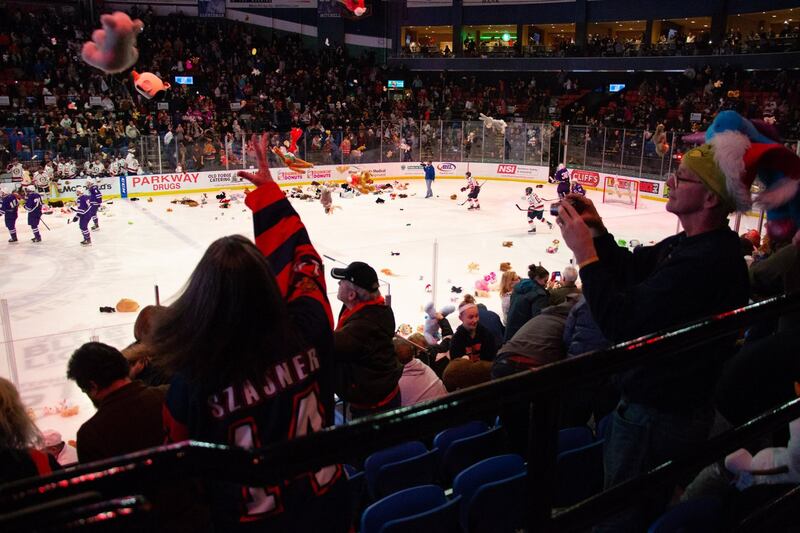 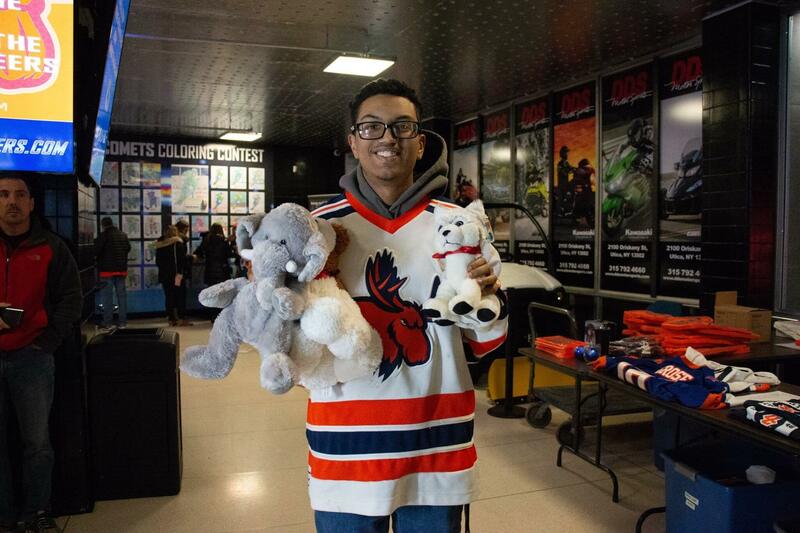 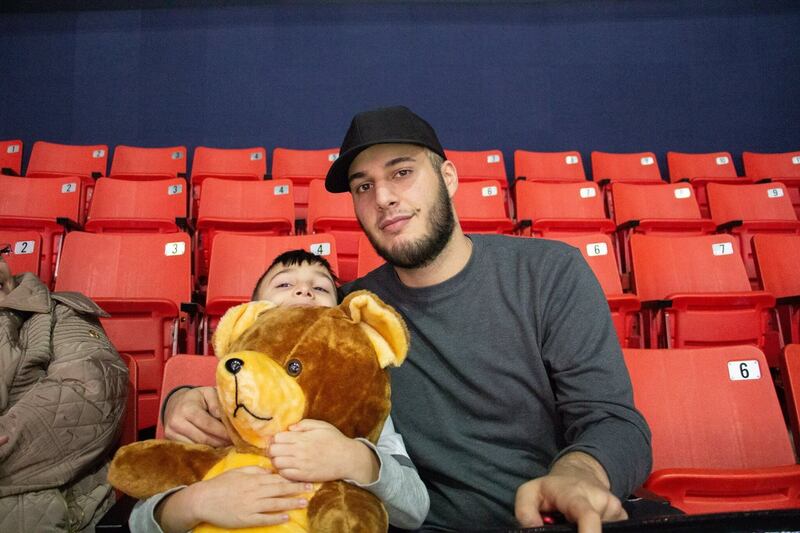 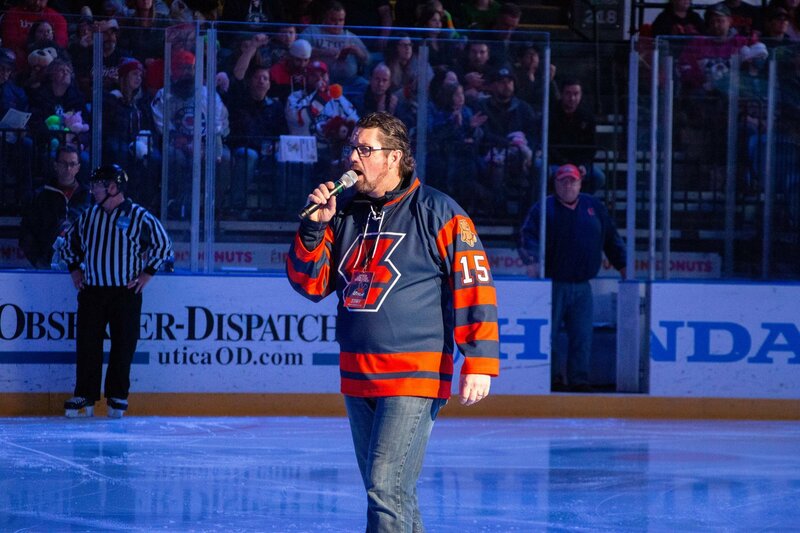 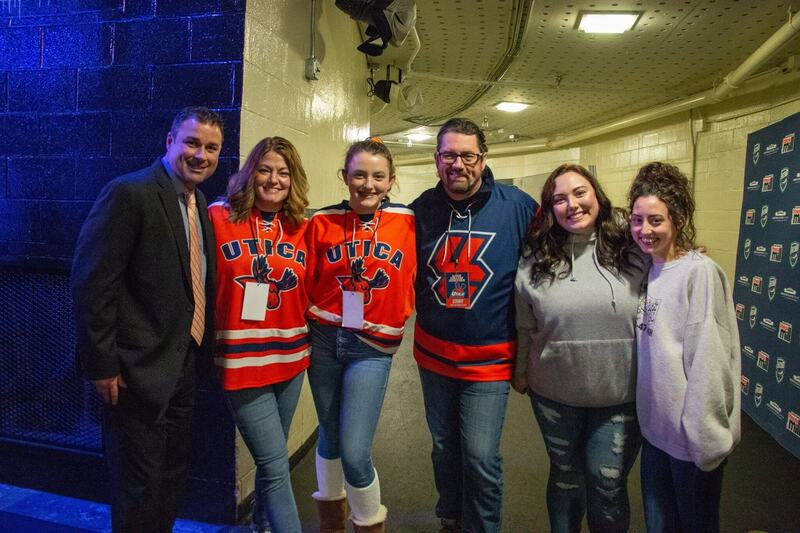 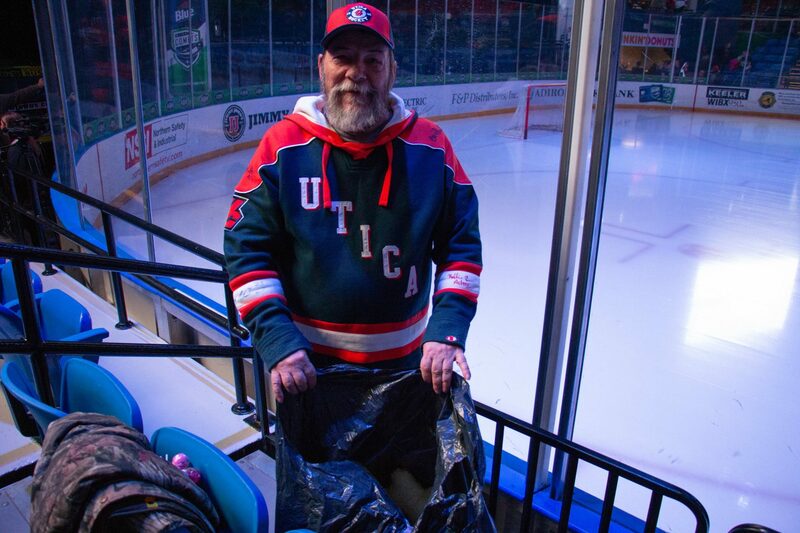 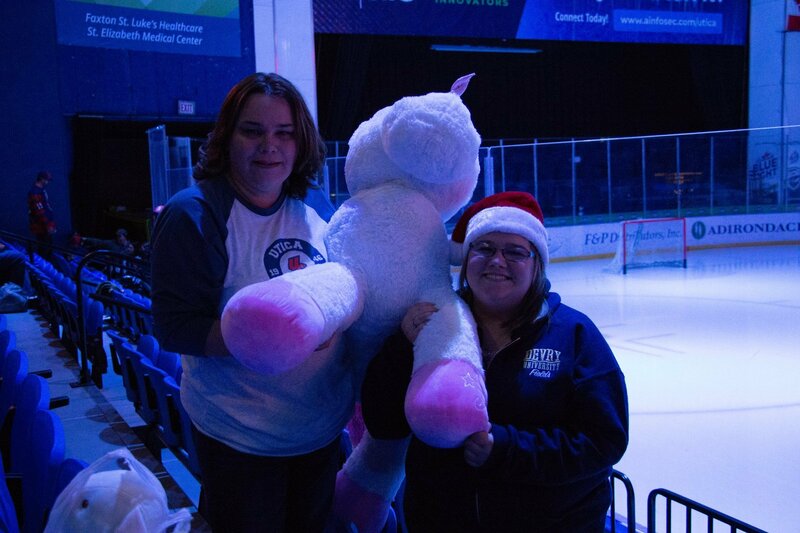 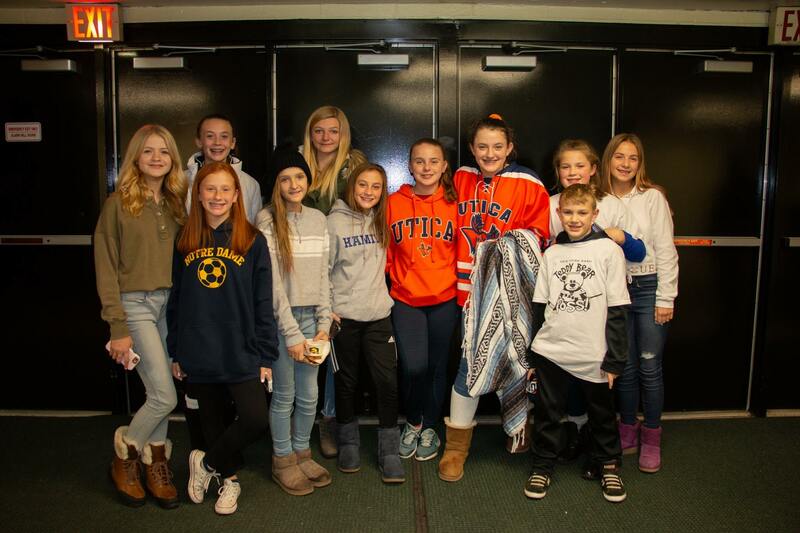 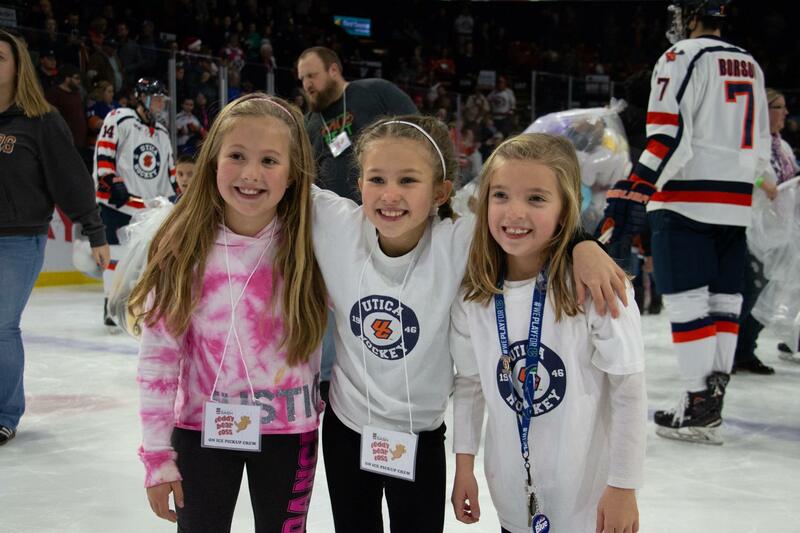 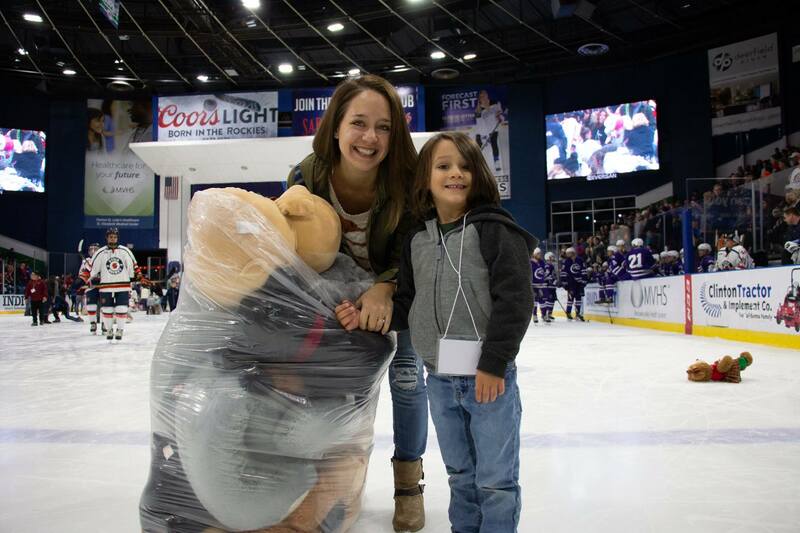 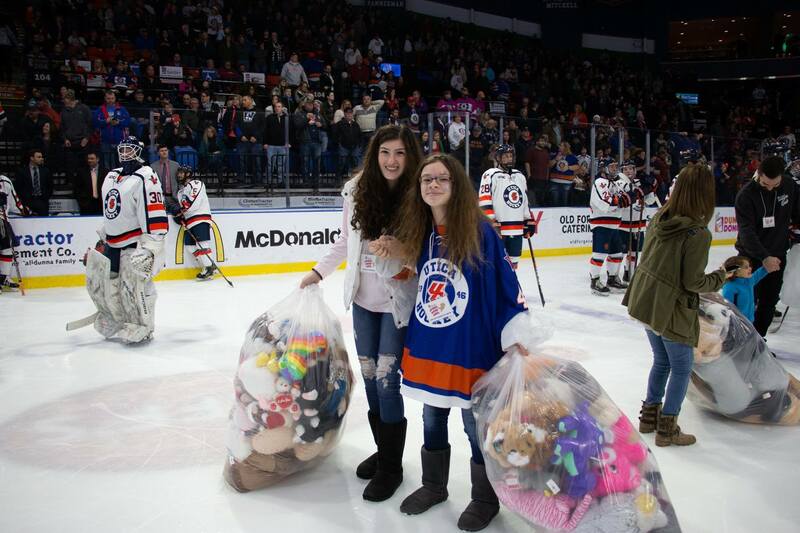 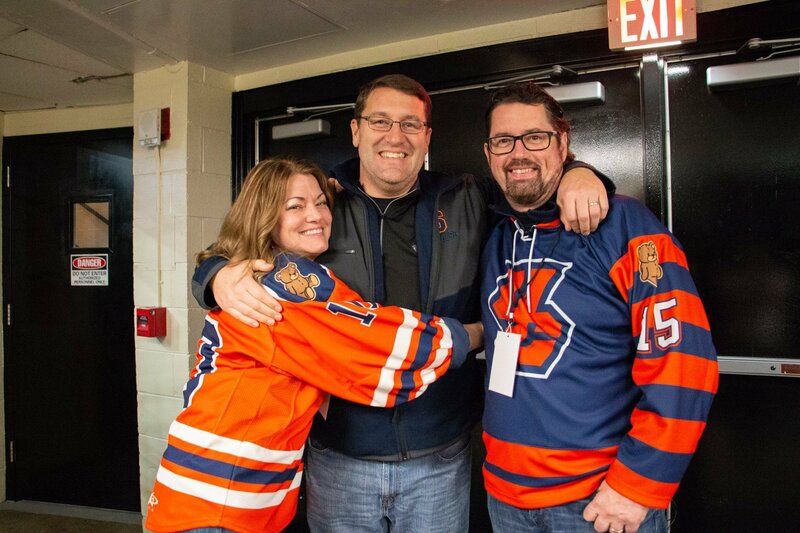 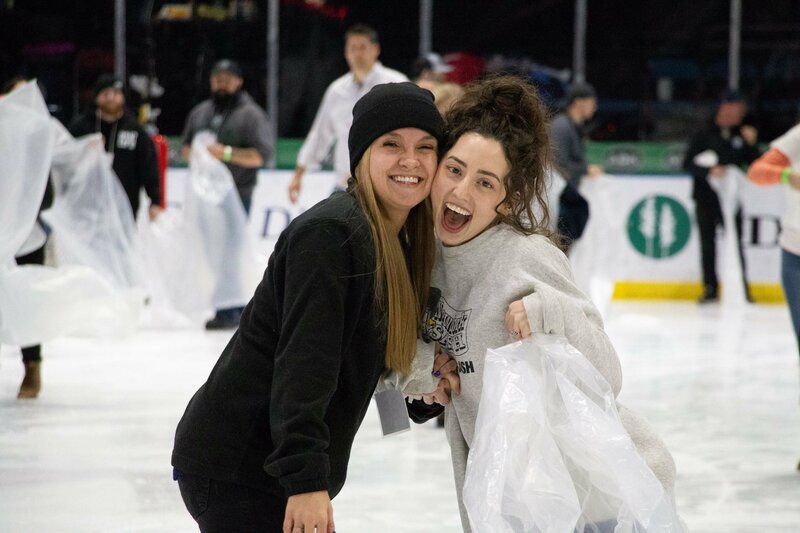 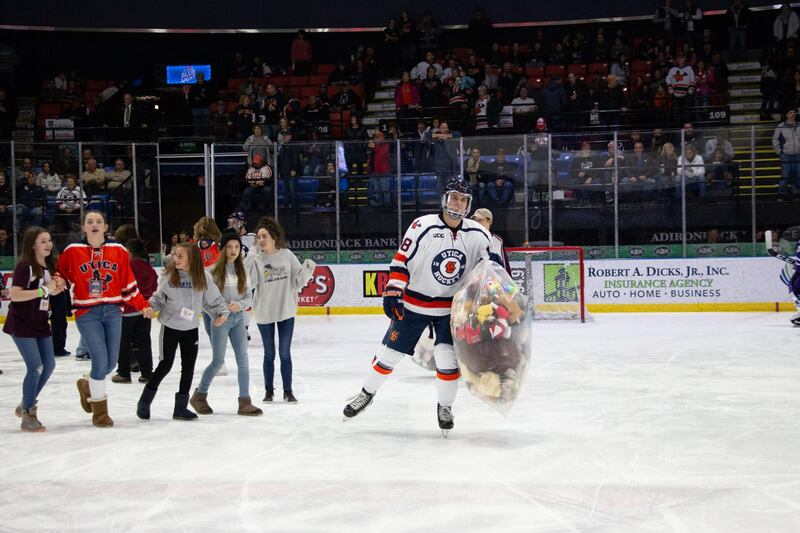 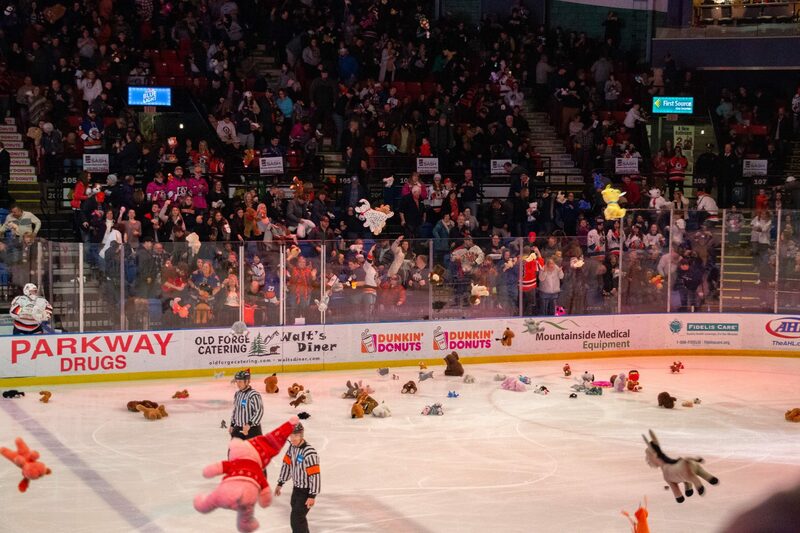 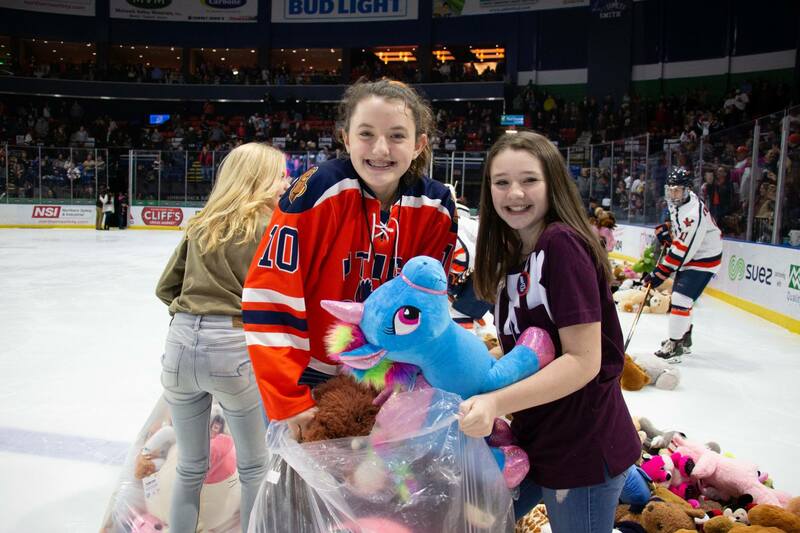 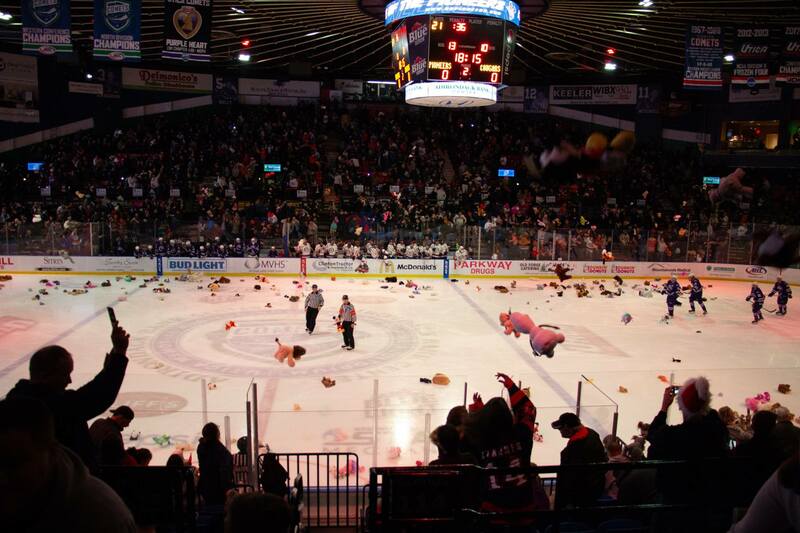 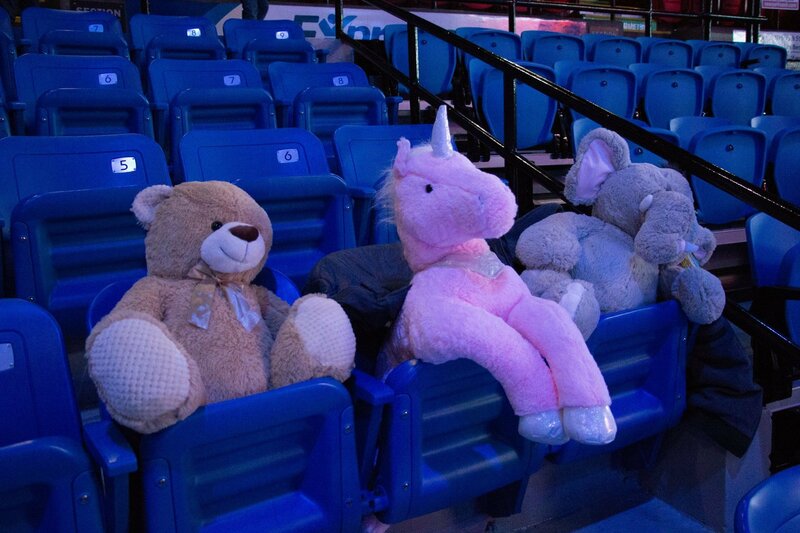 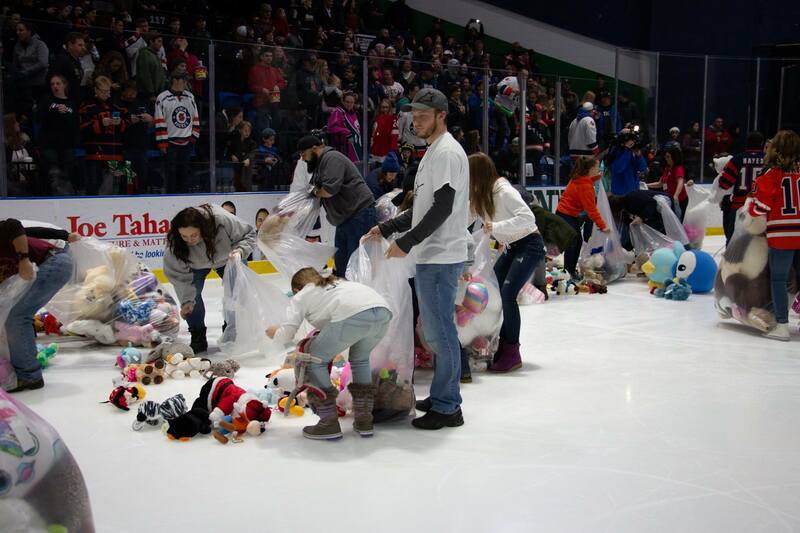 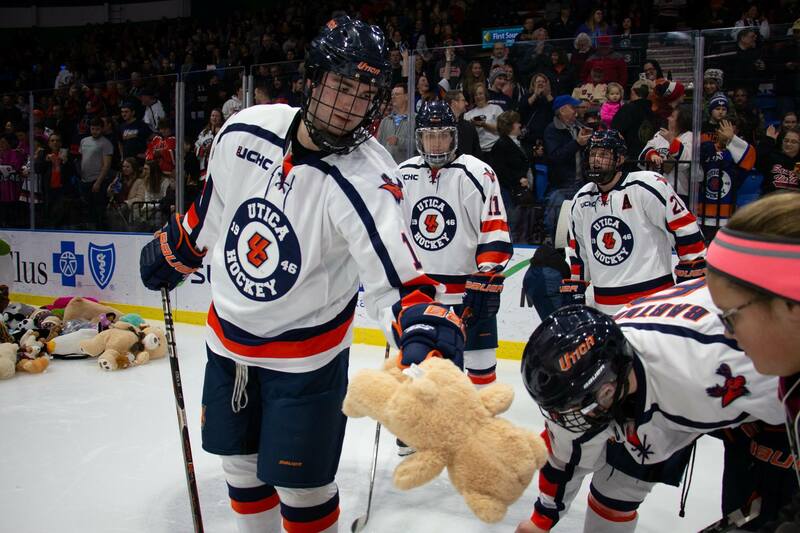 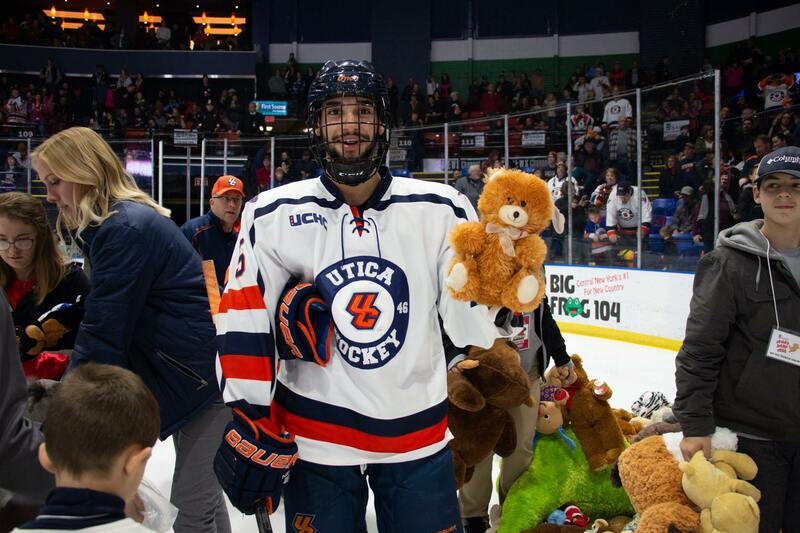 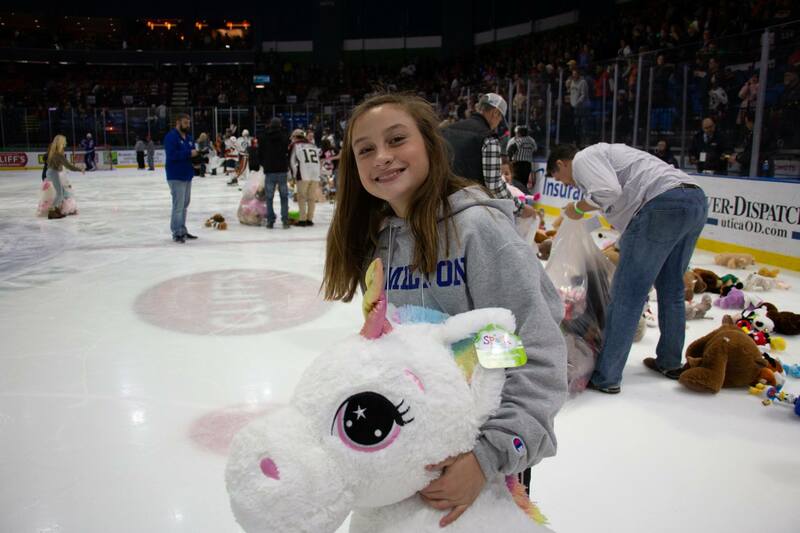 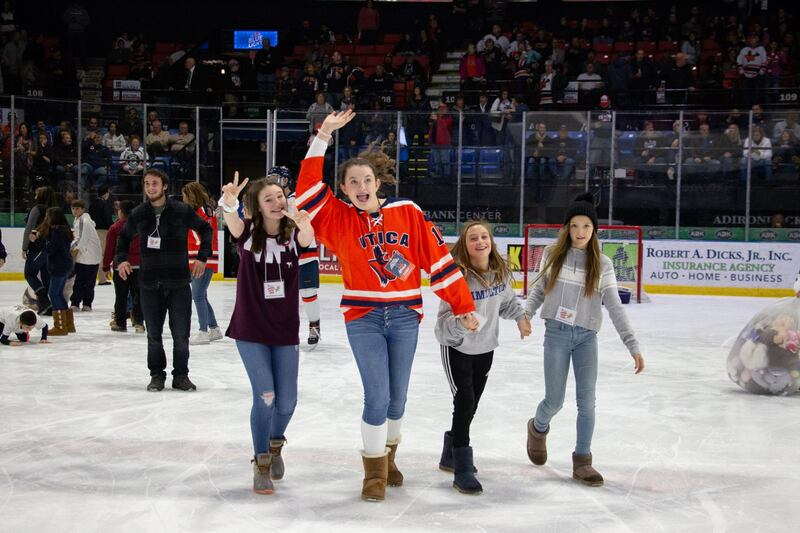 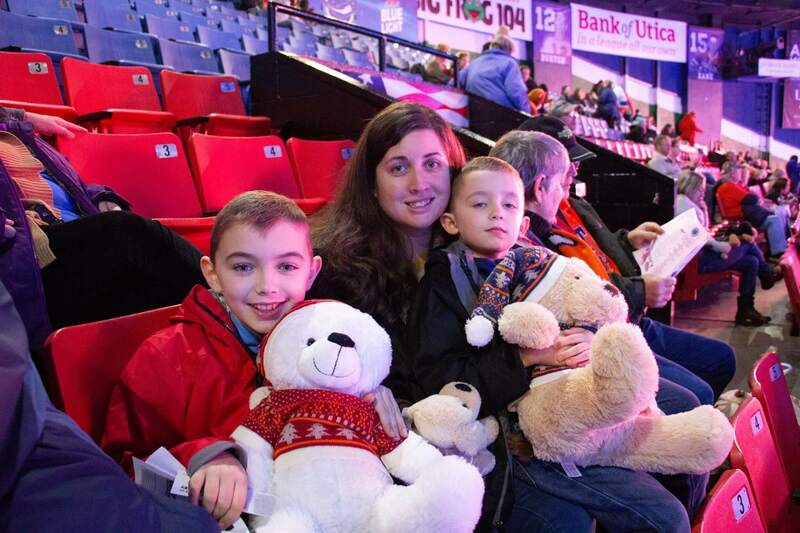 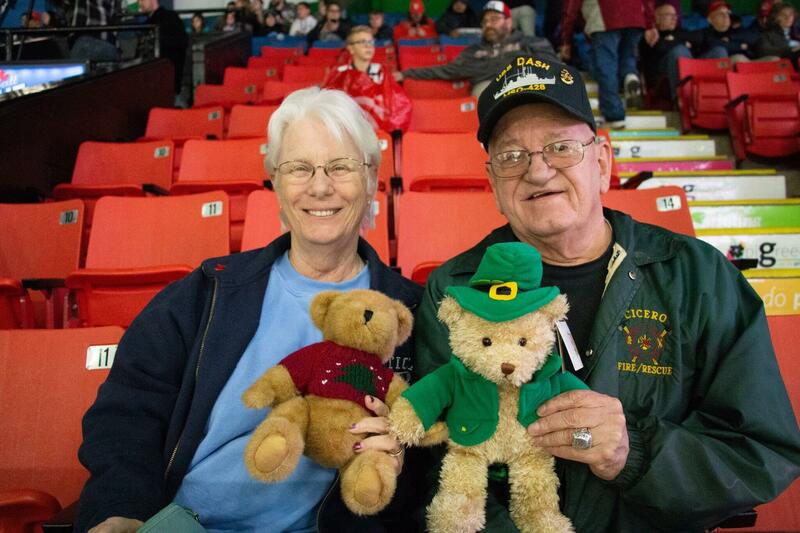 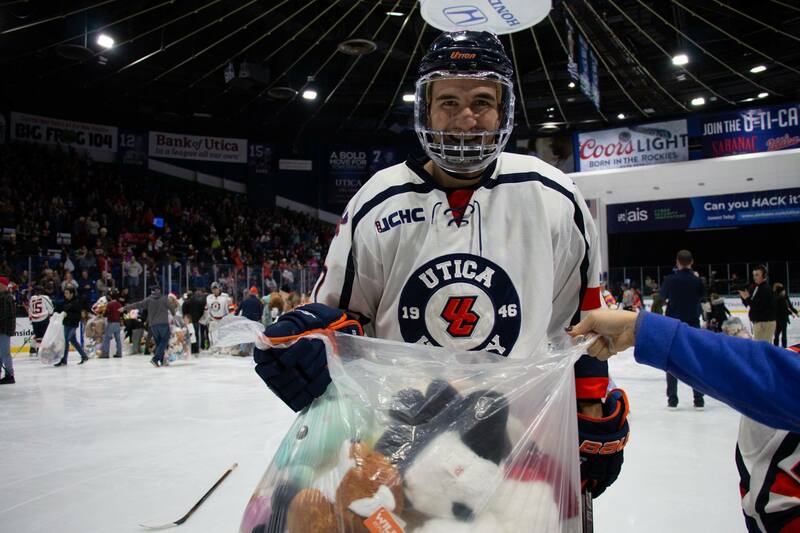 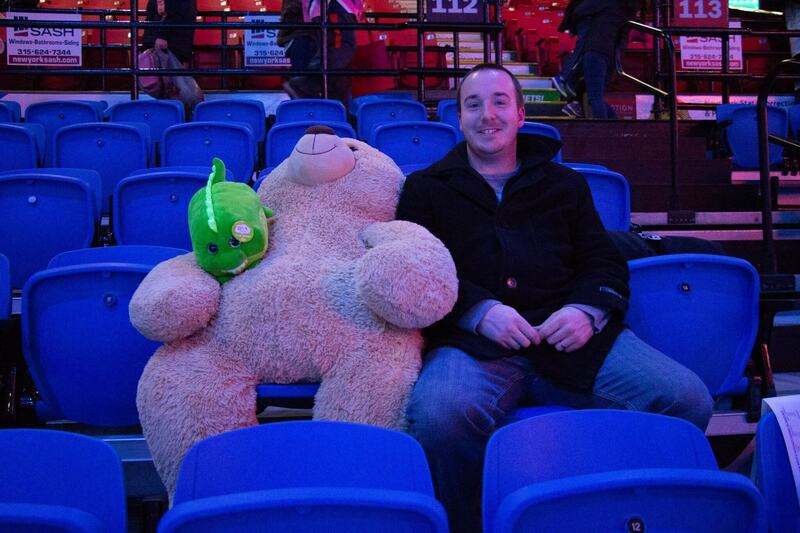 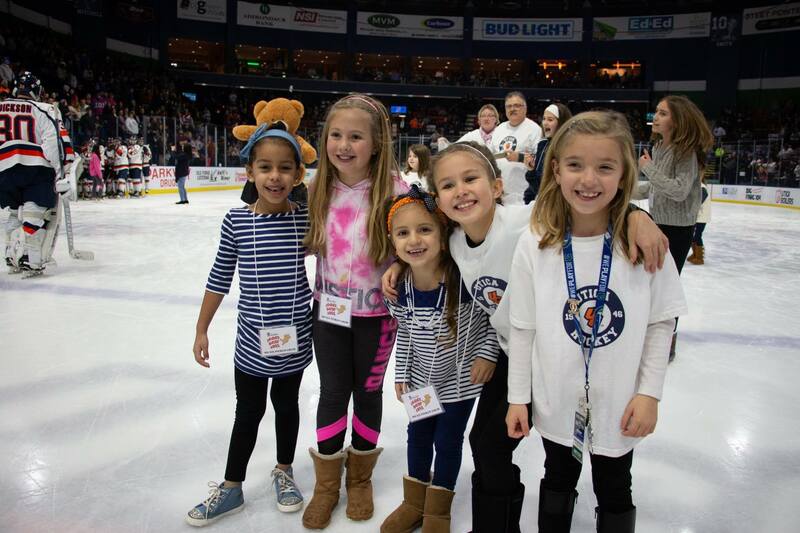 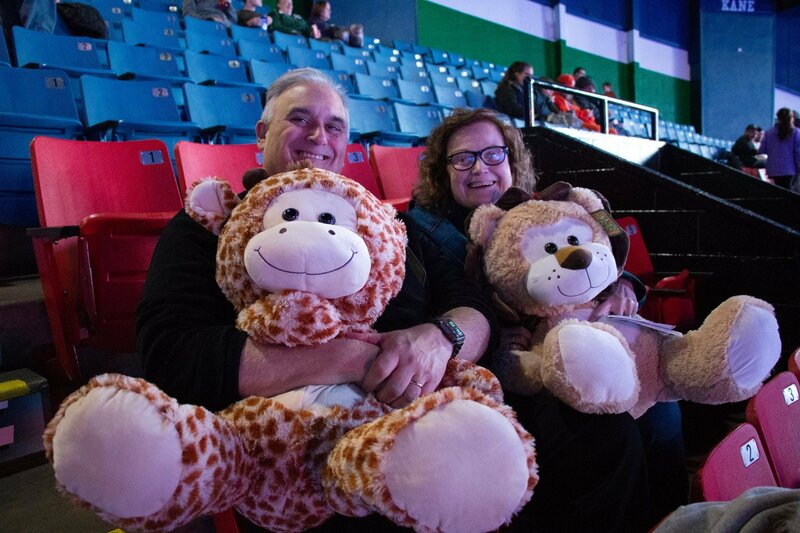 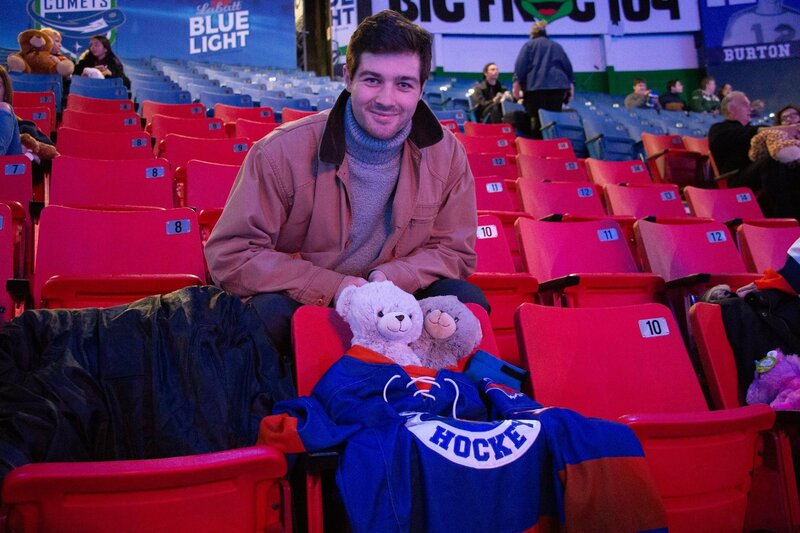 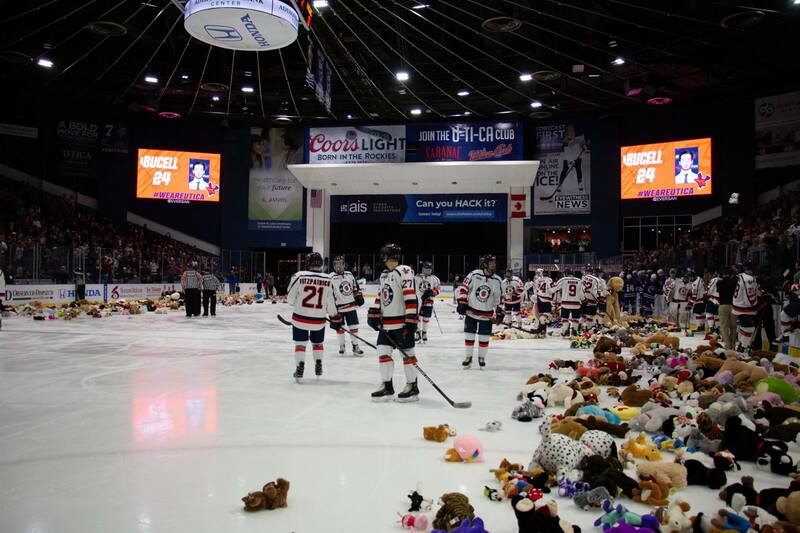 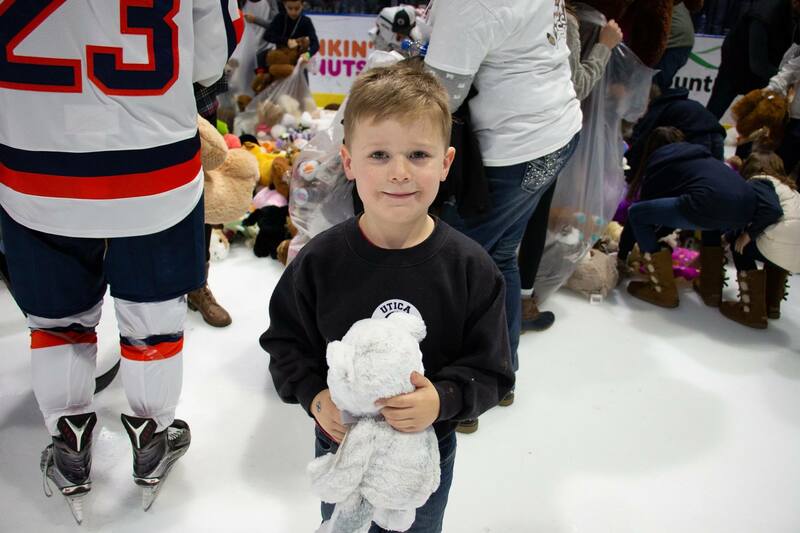 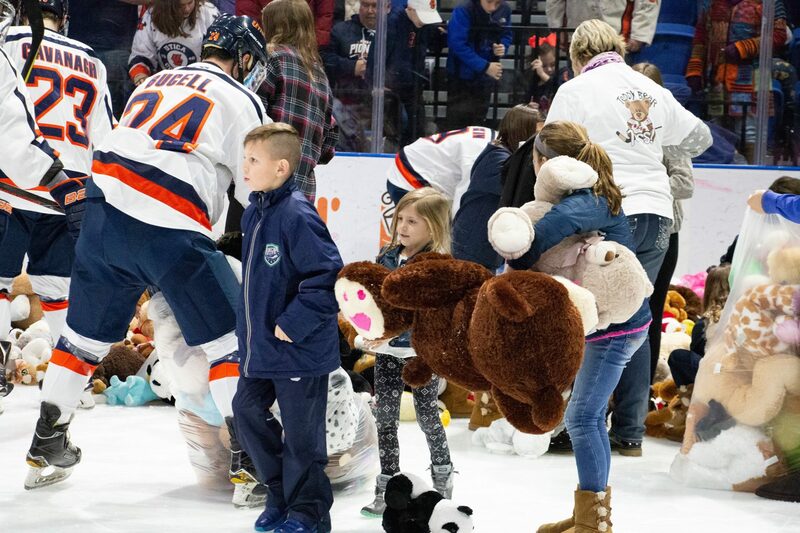 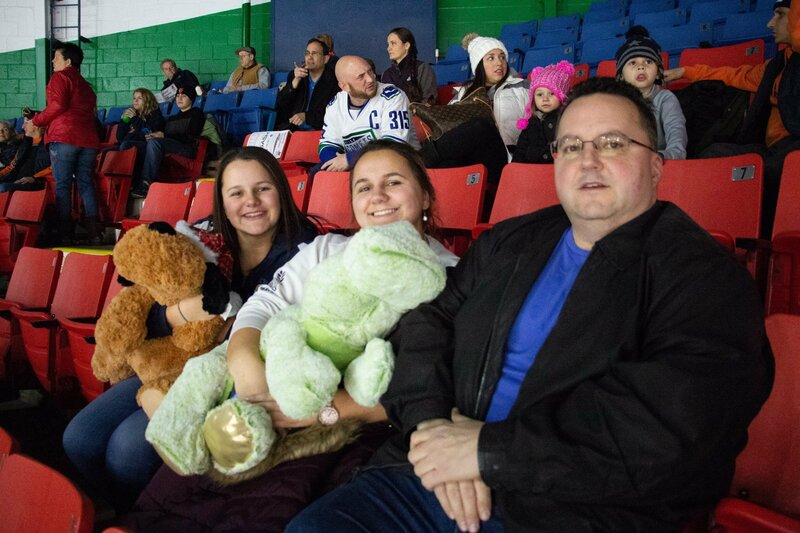 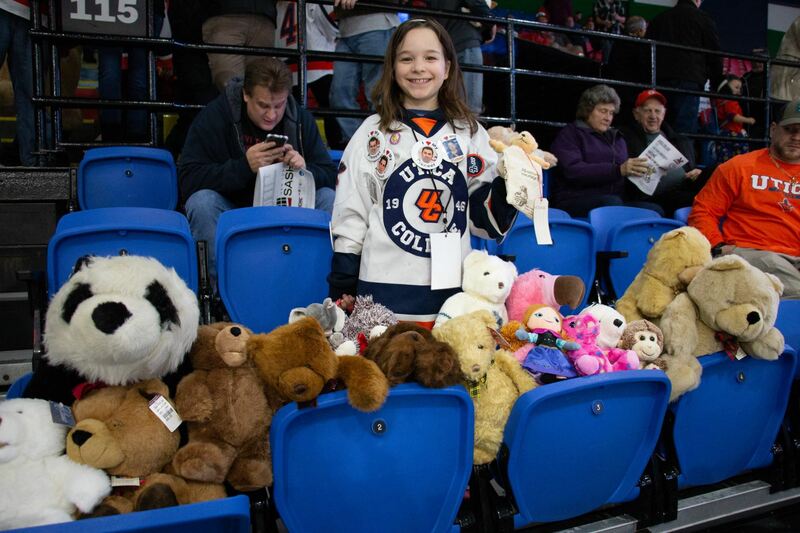 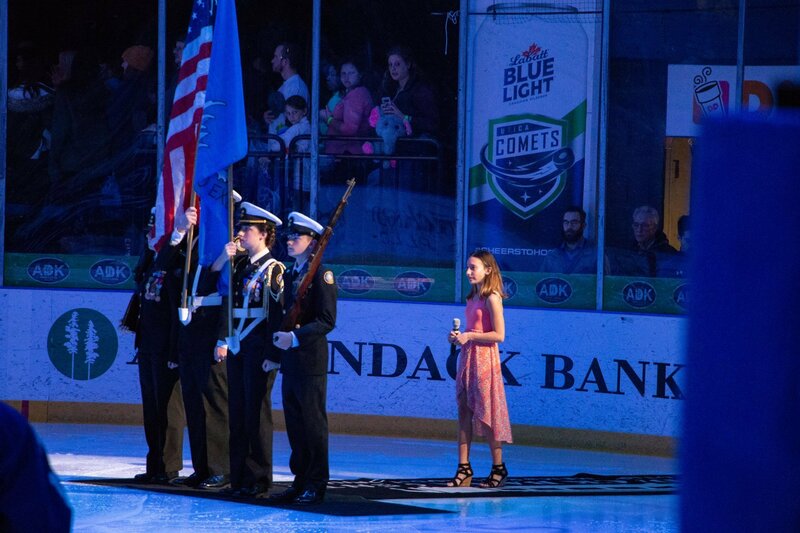 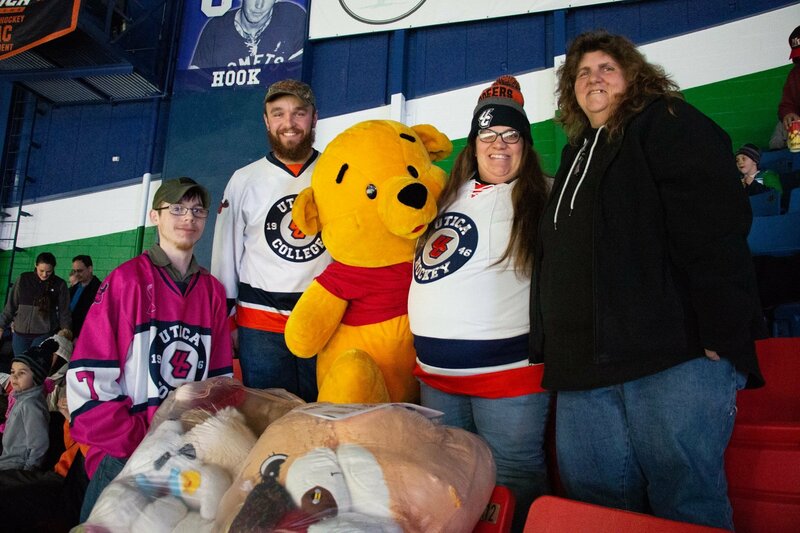 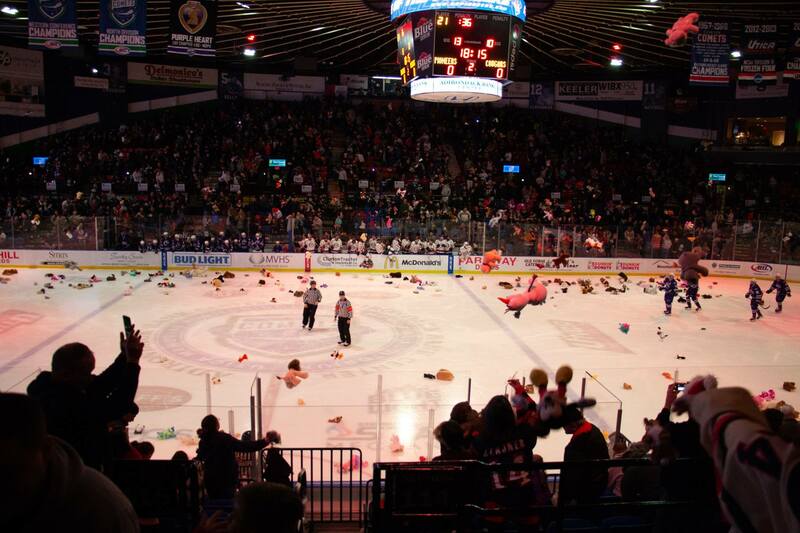 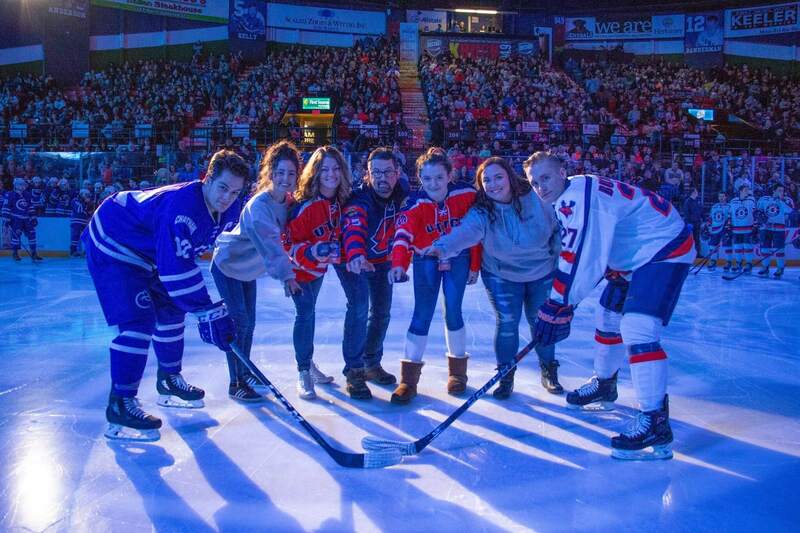 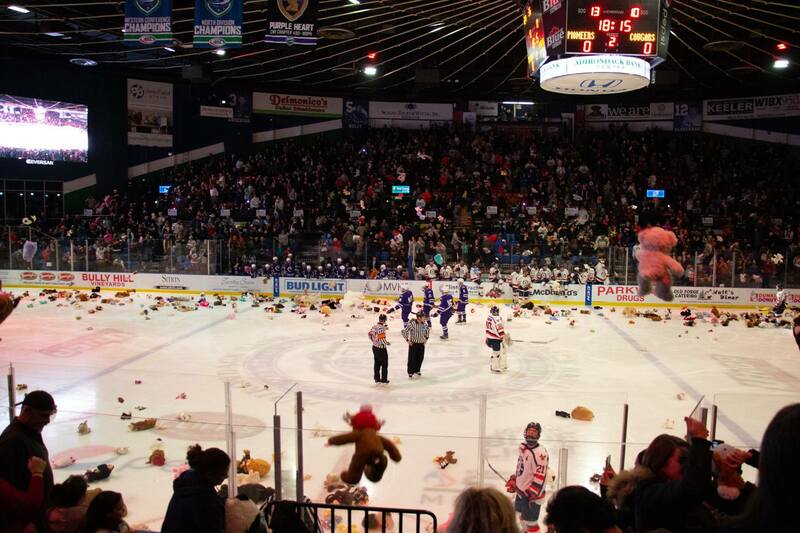 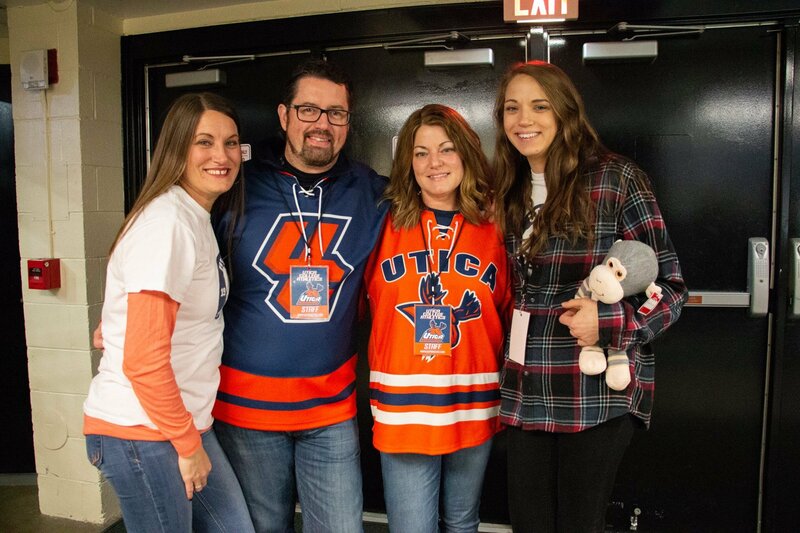 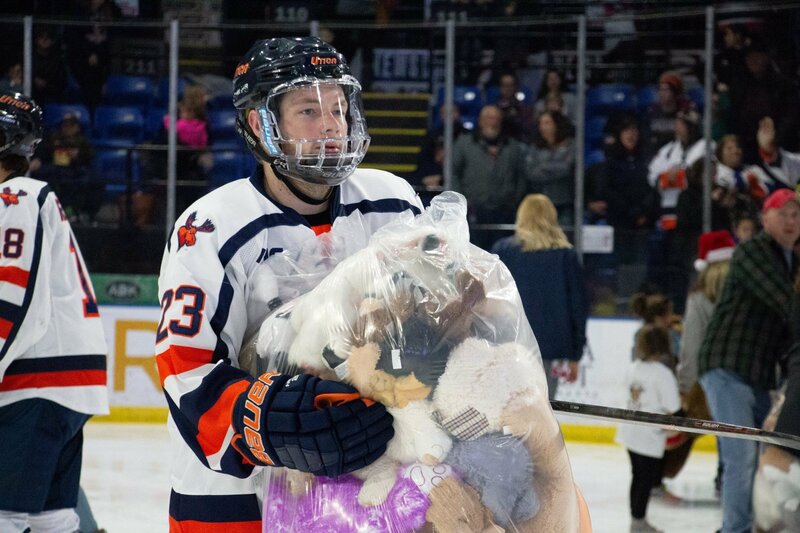 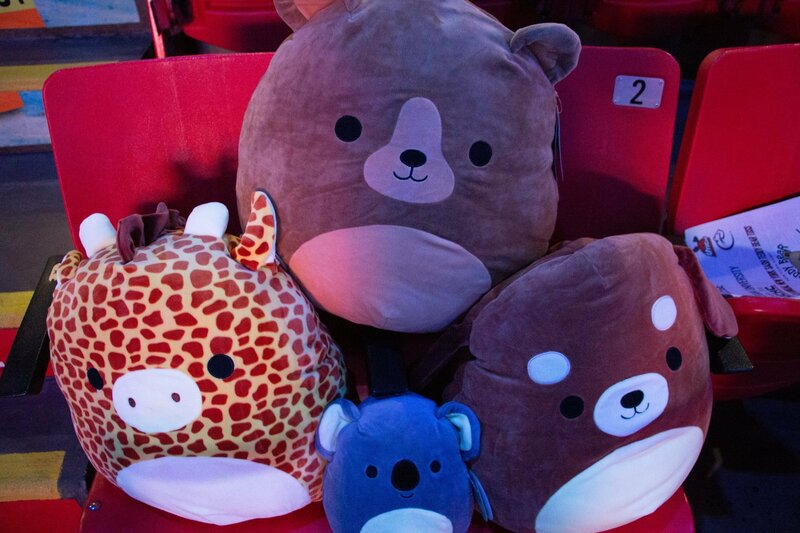 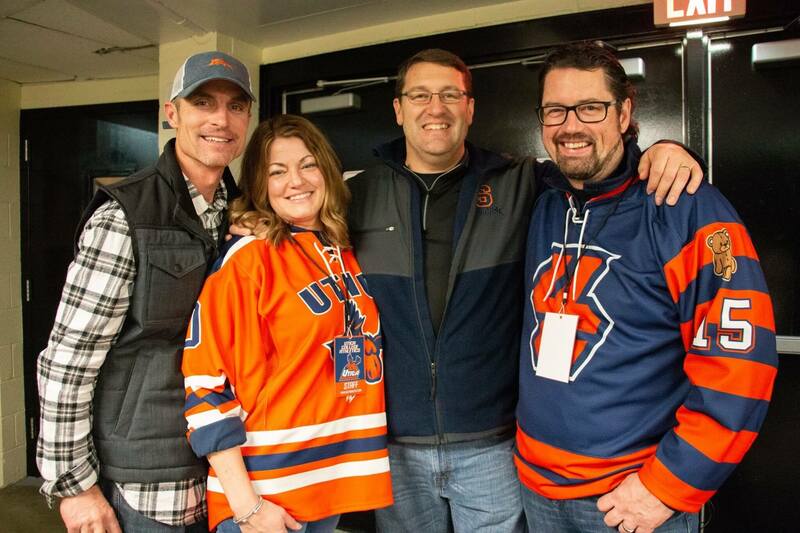 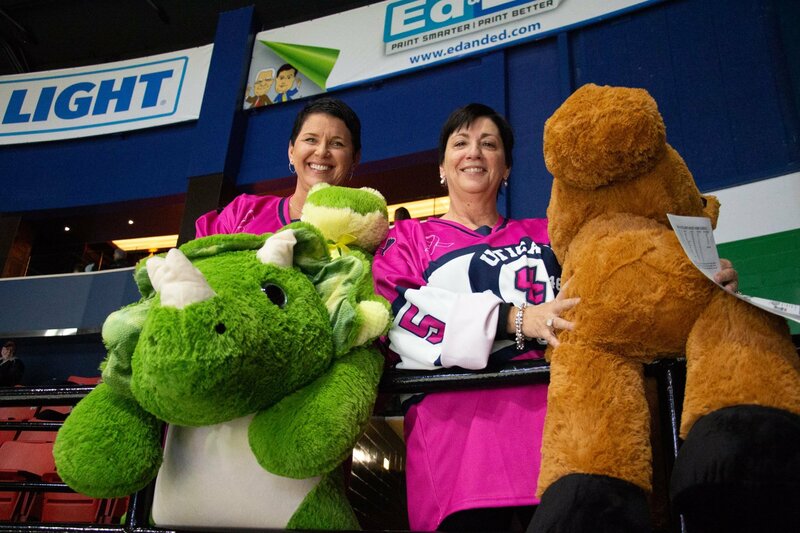 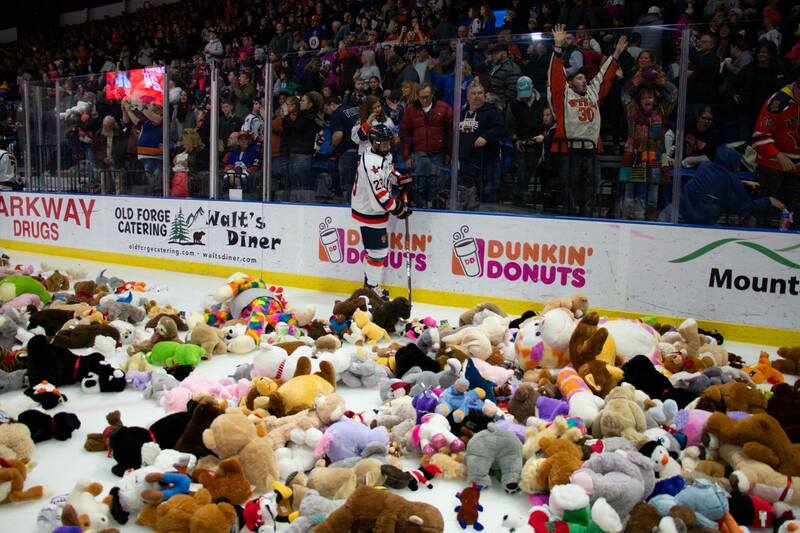 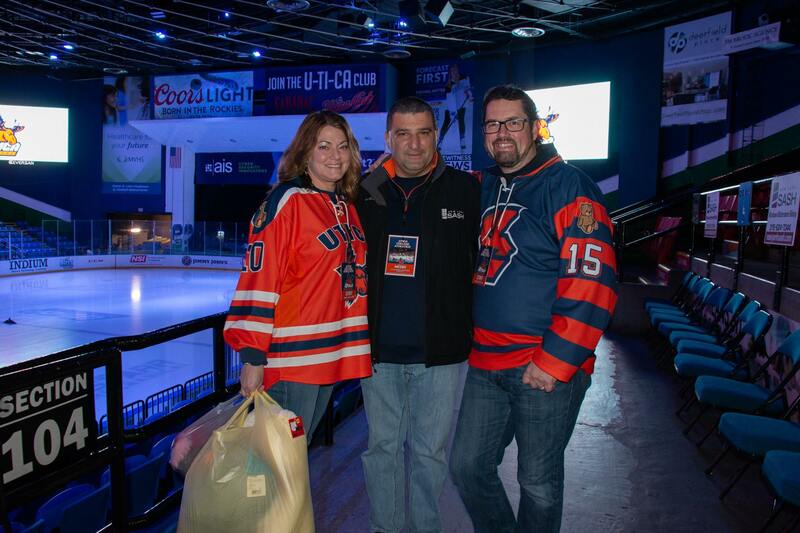 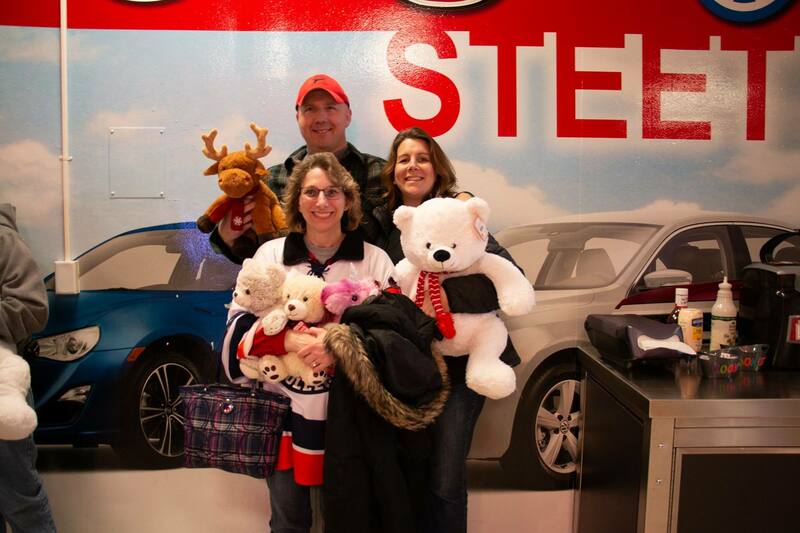 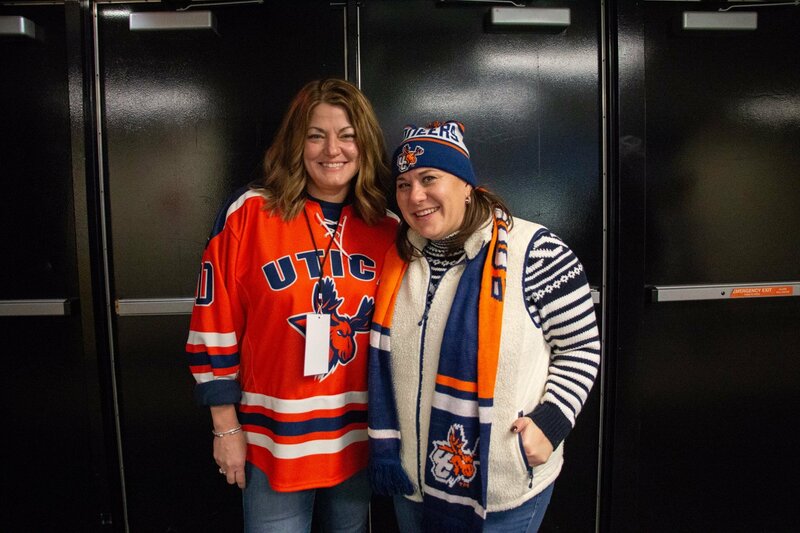 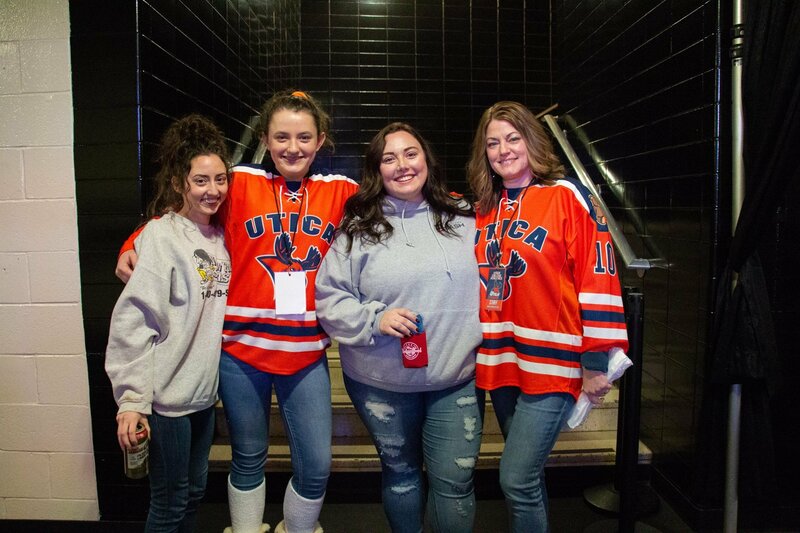 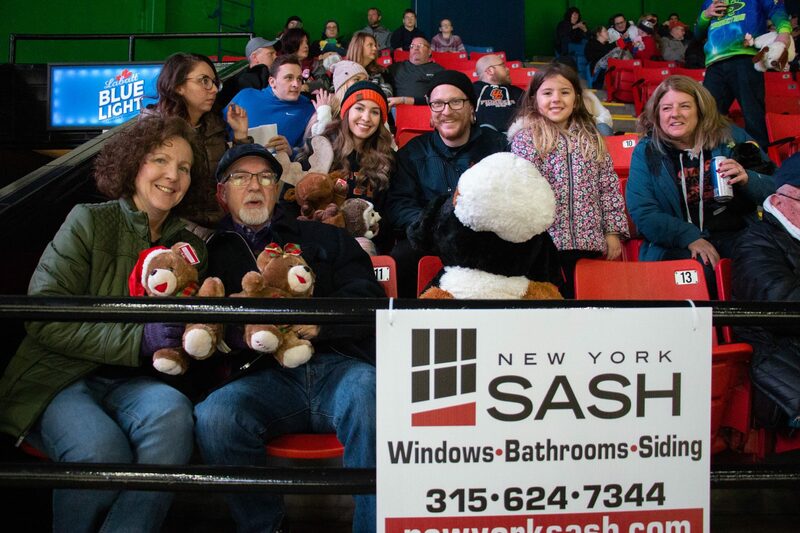 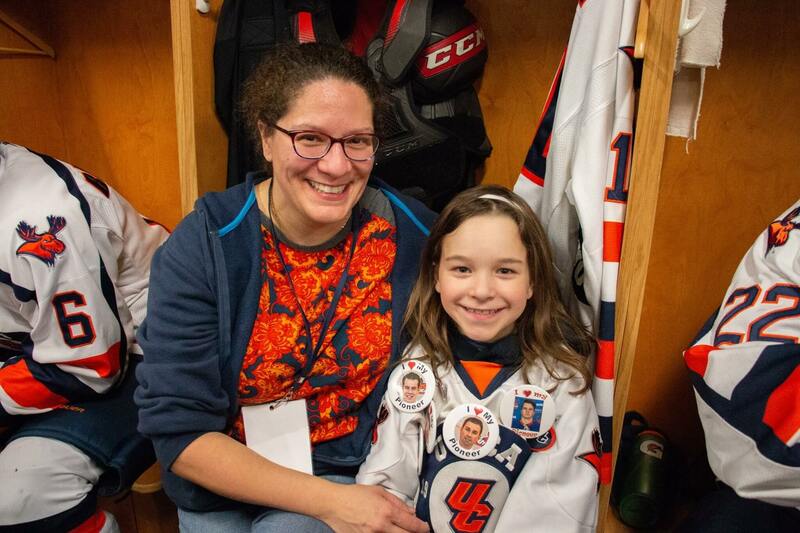 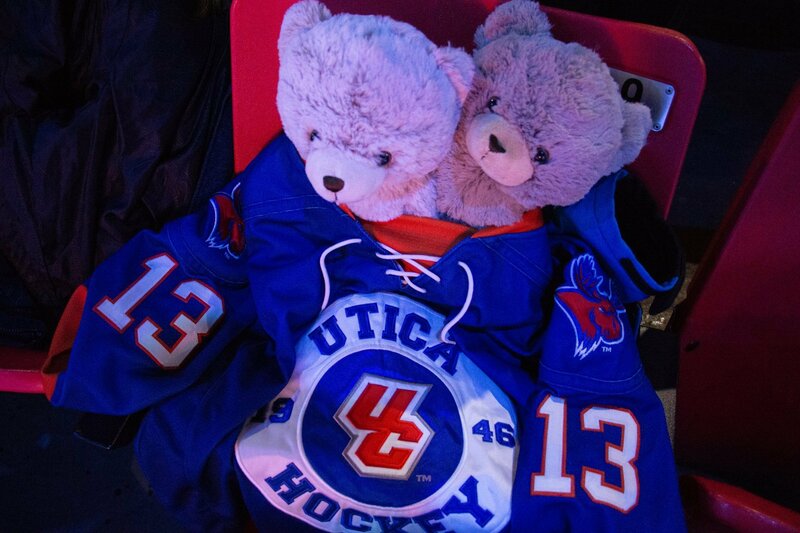 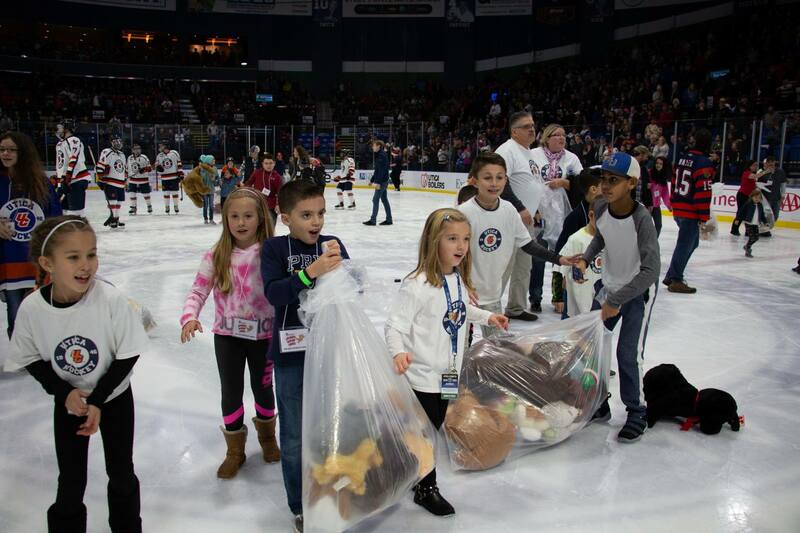 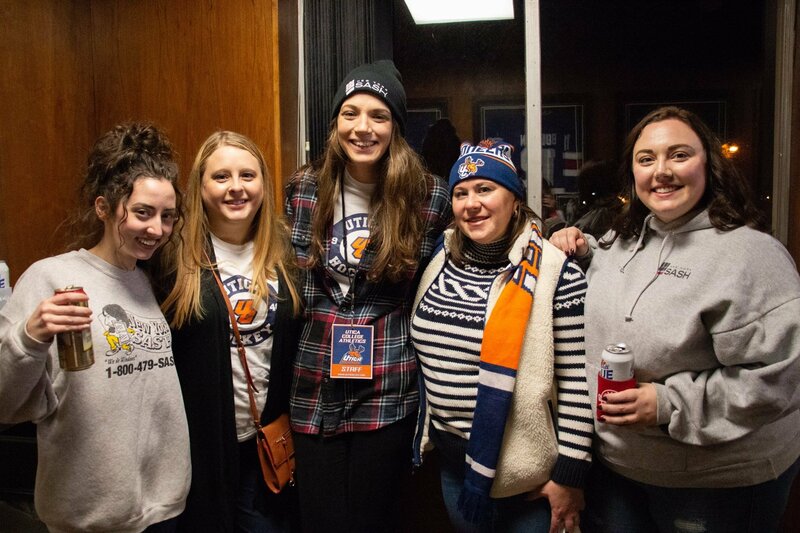 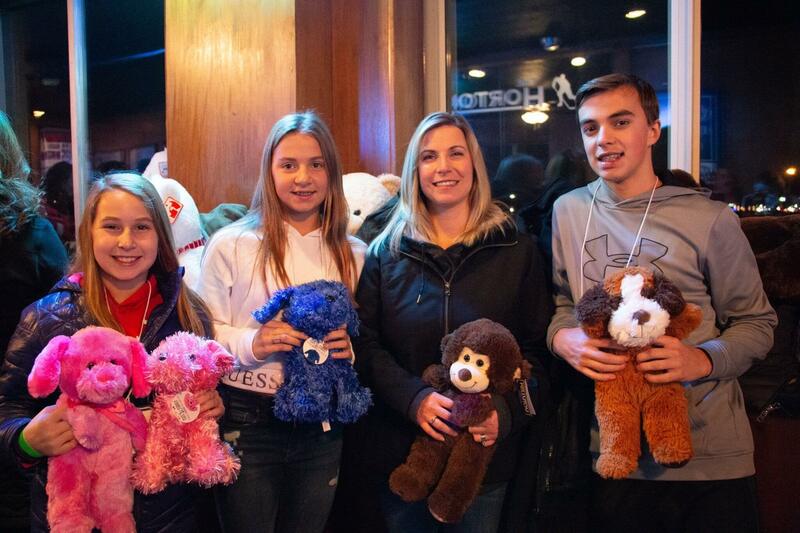 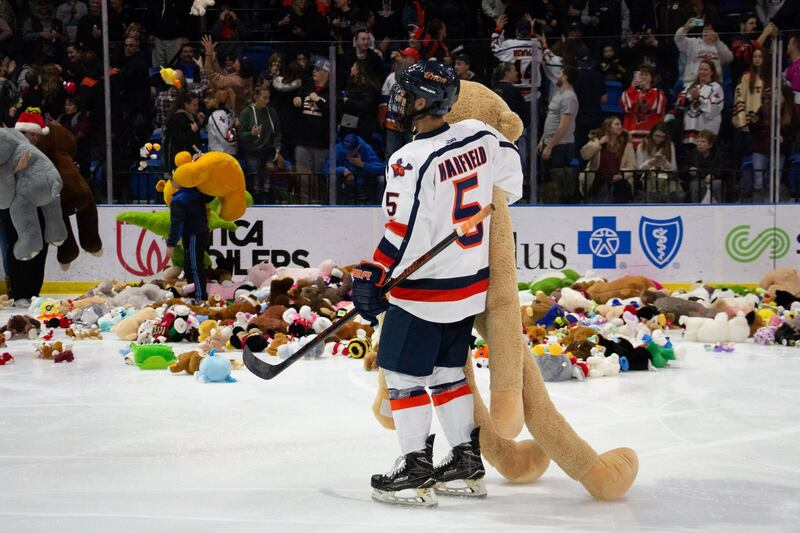 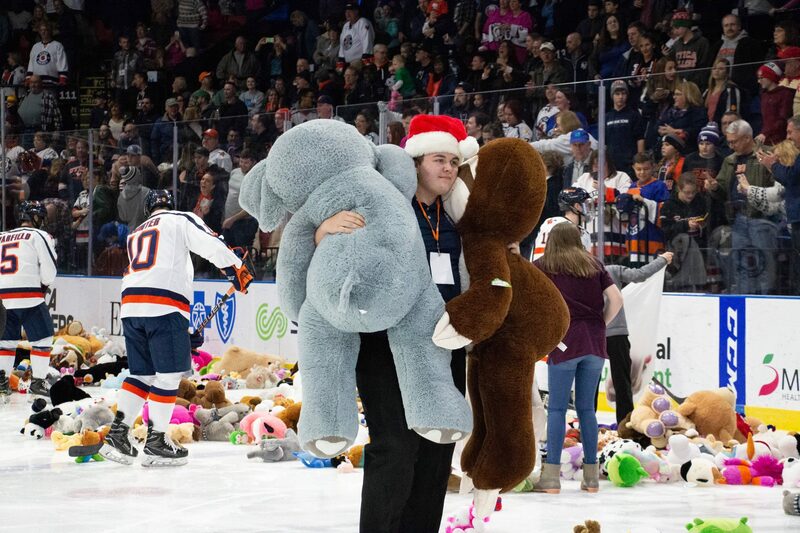 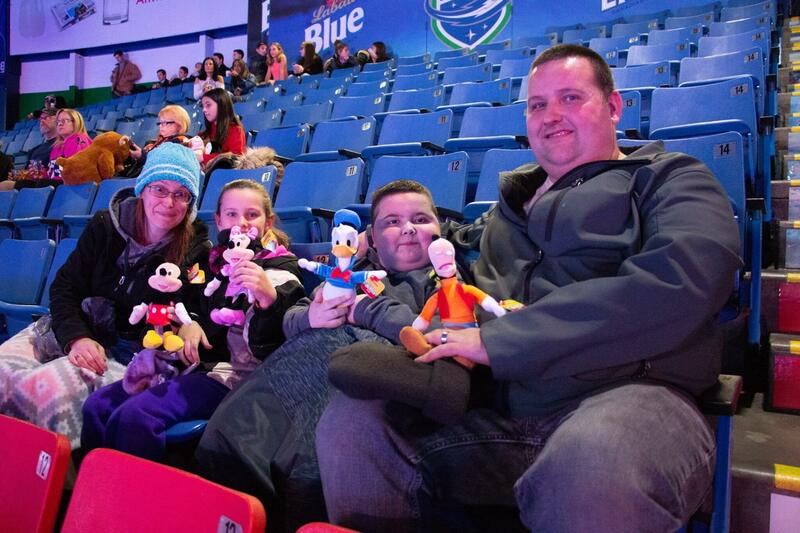 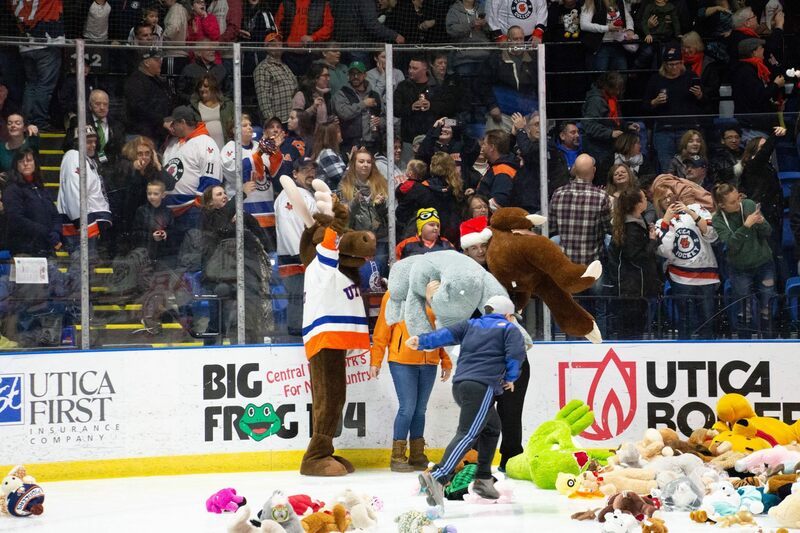 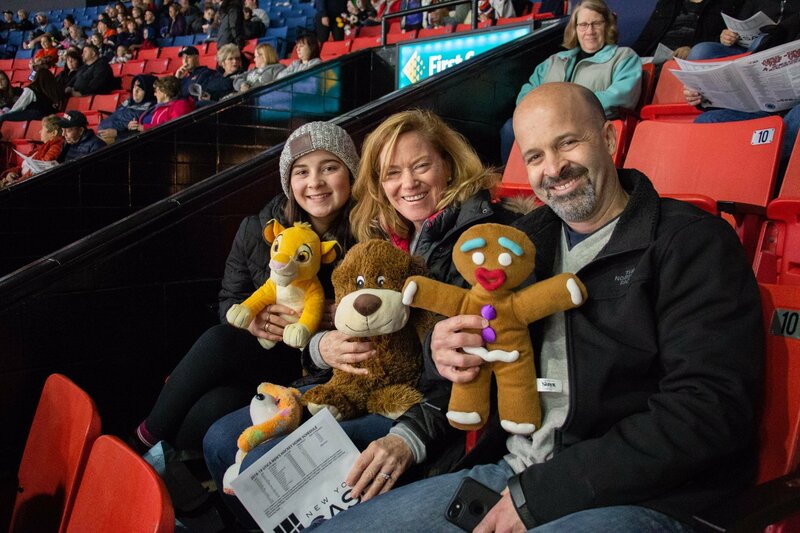 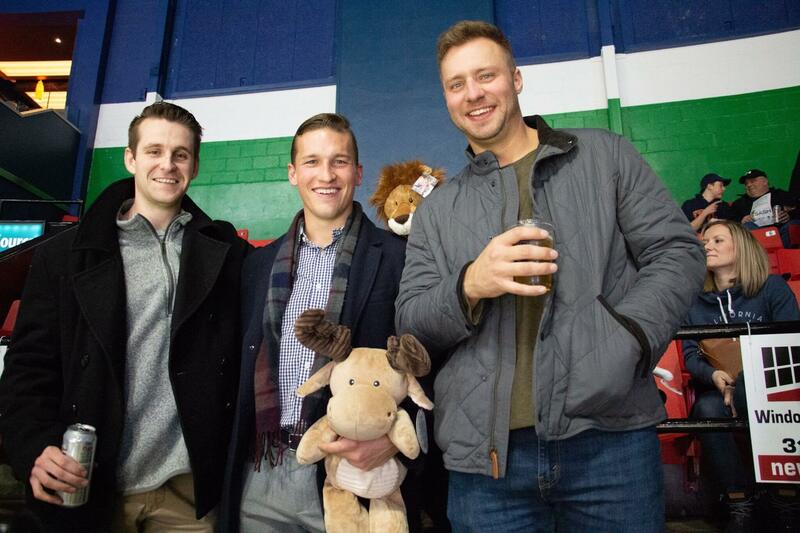 The 14th Annual New York Sash Teddy Bear Toss took place December 1st, 2018 with the Utica College Pioneers. 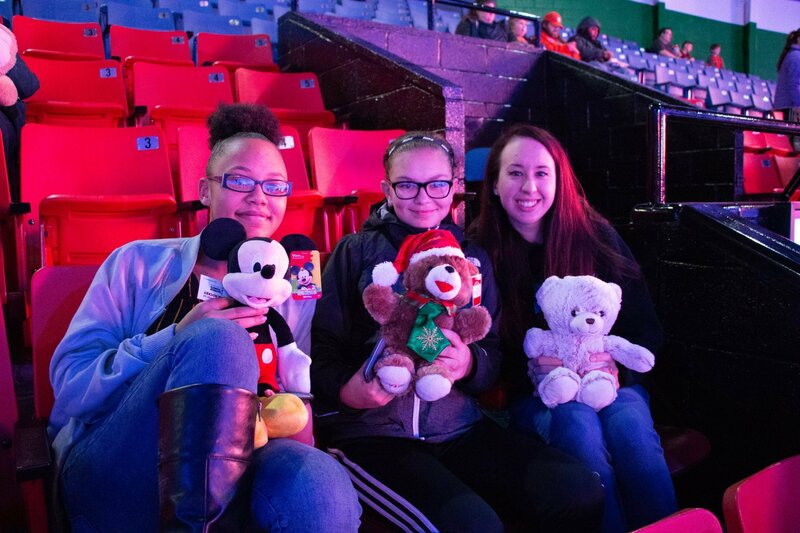 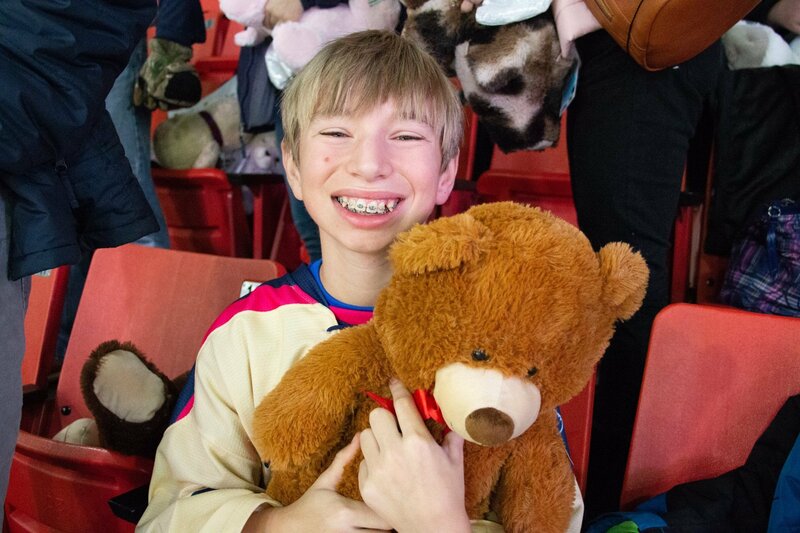 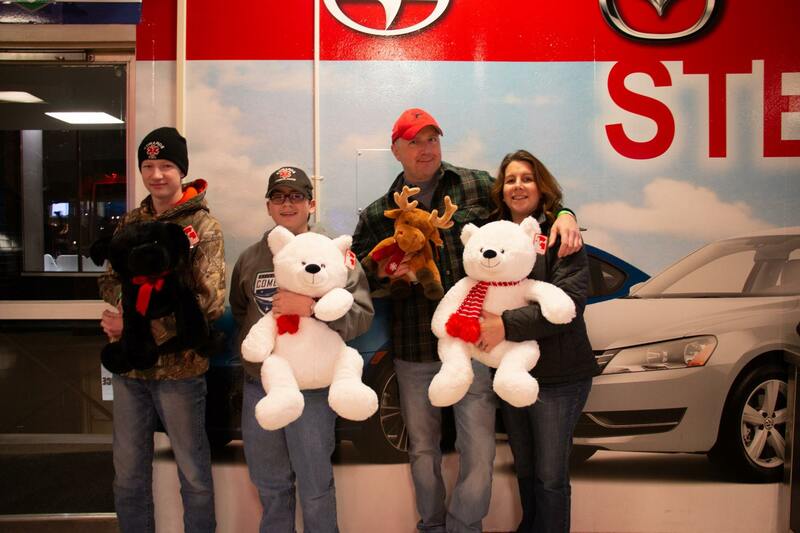 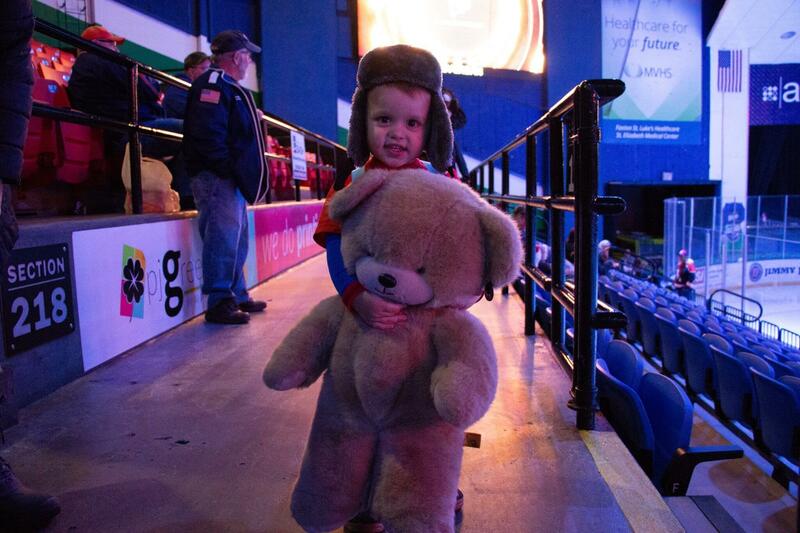 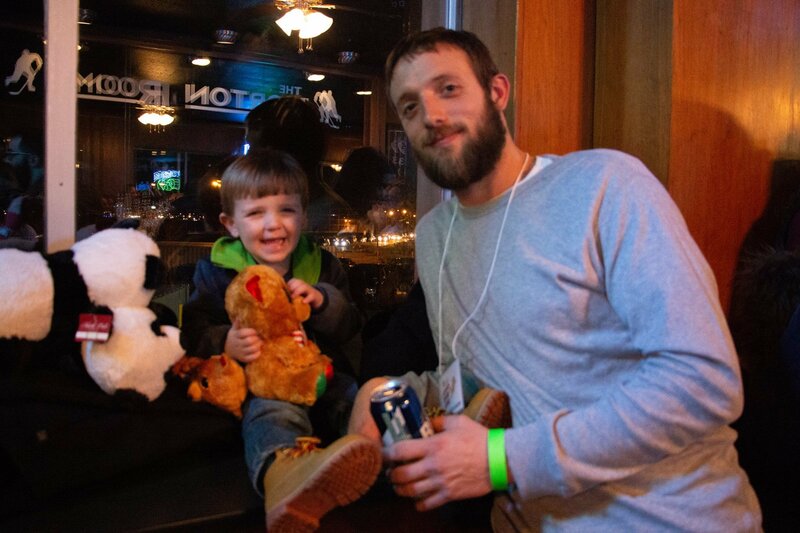 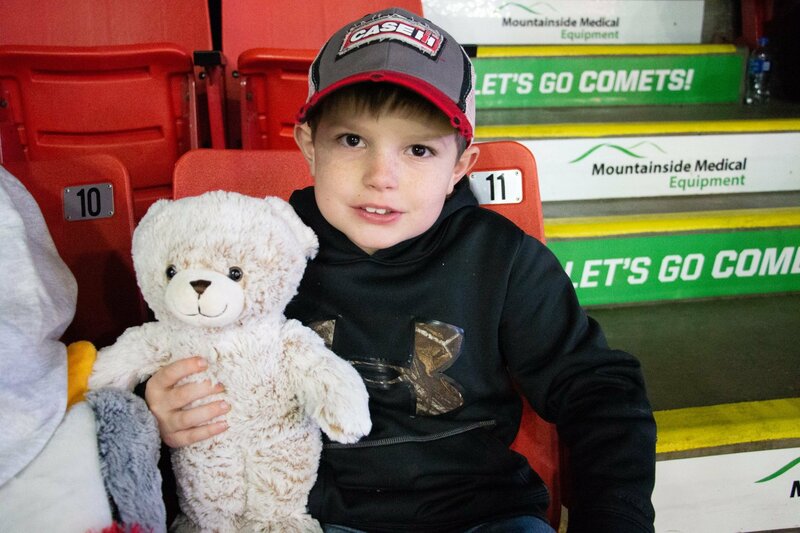 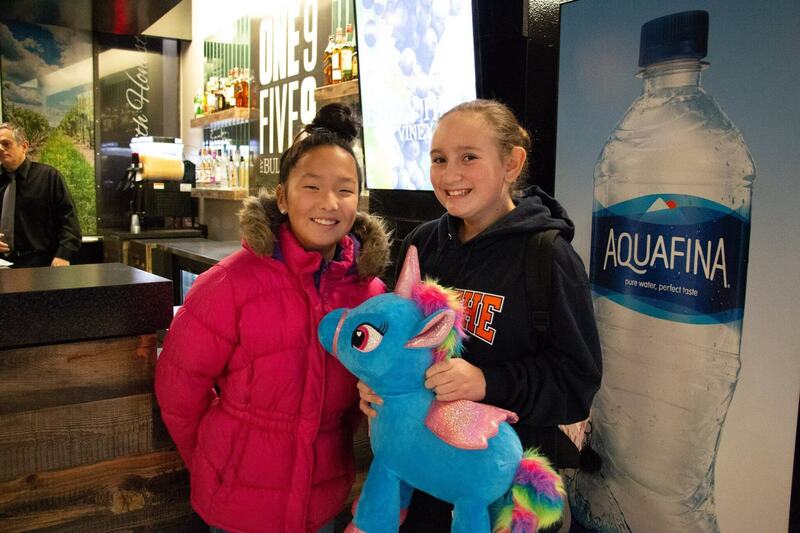 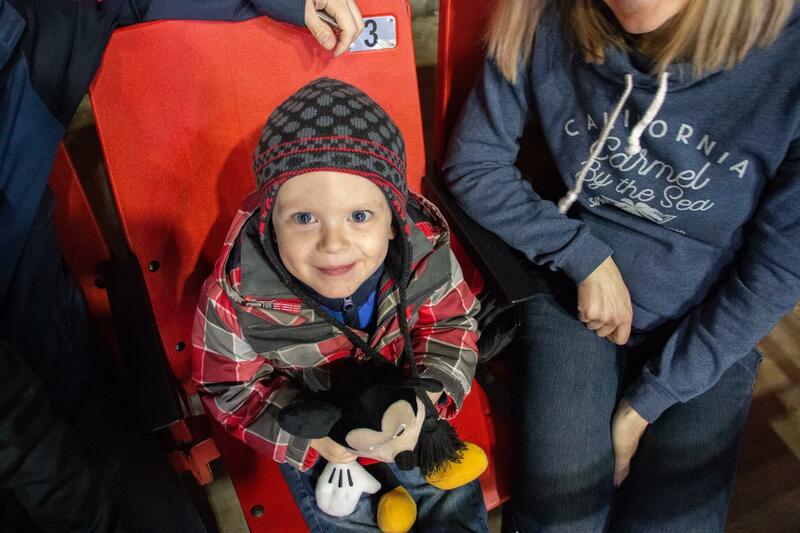 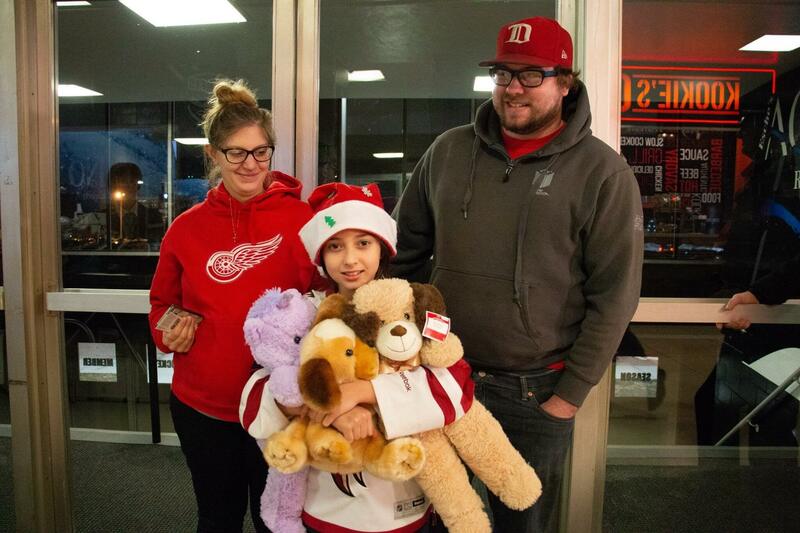 We raised over 4,000 stuffed animals for local kids! 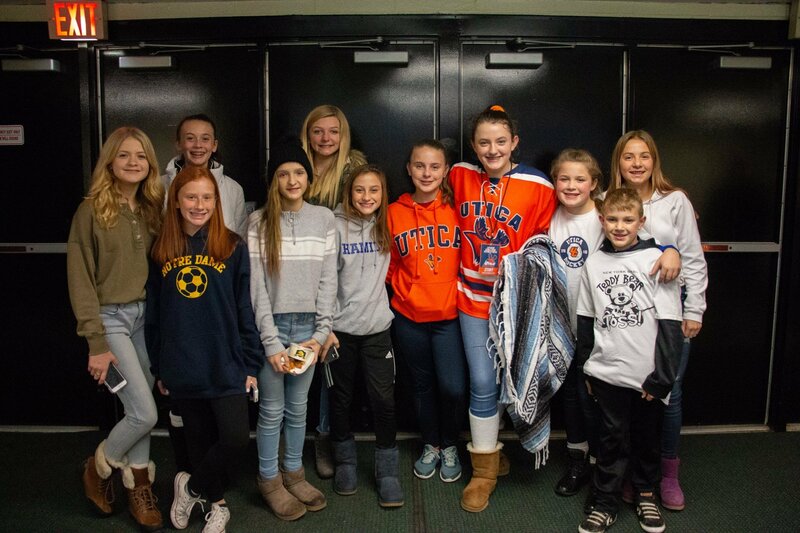 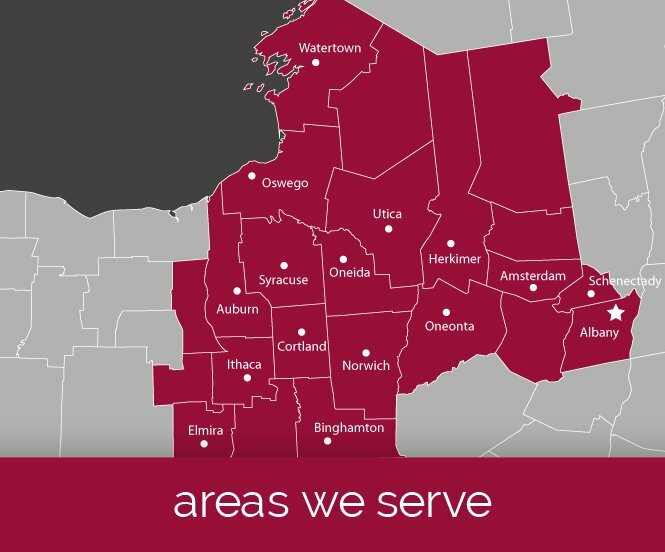 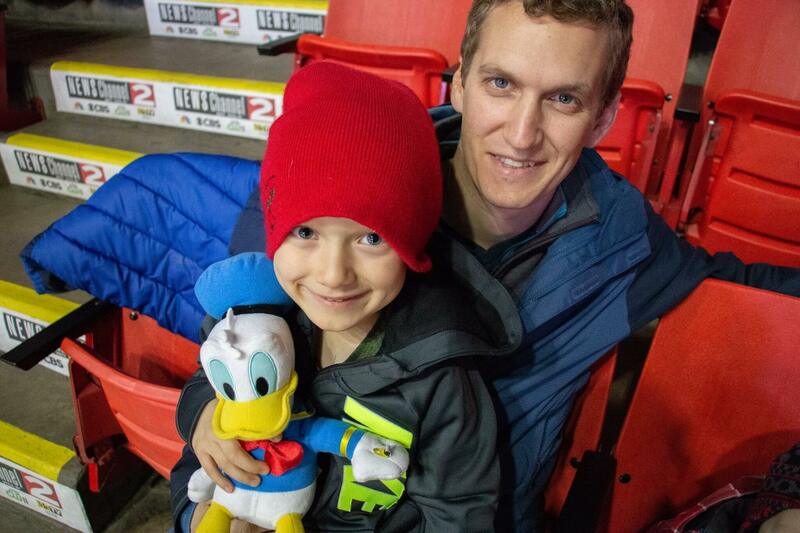 Video via CNY’s Open House, photos by Maiah DeGironimo.